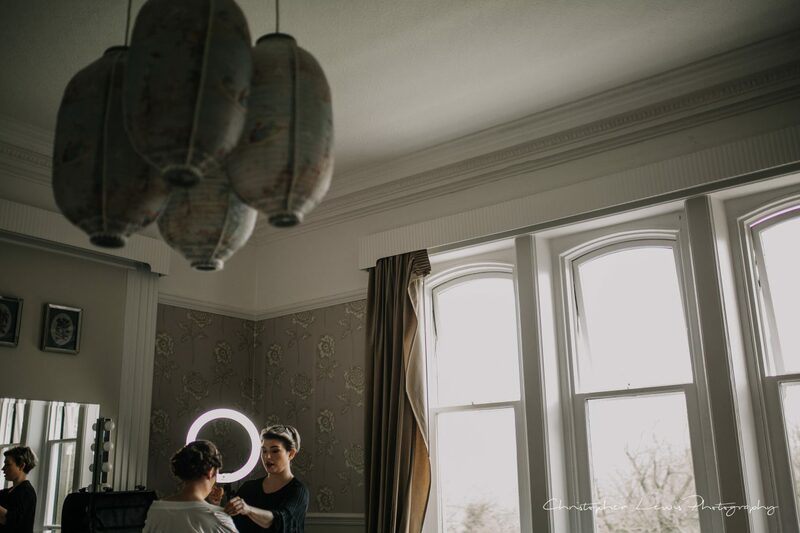 I love seeing the morning preparations at a wedding, not just of the bride and groom, but of the venue. 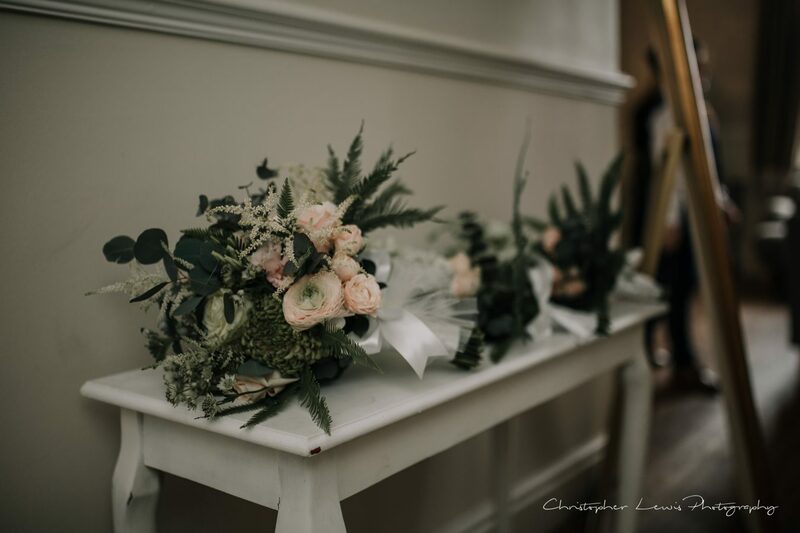 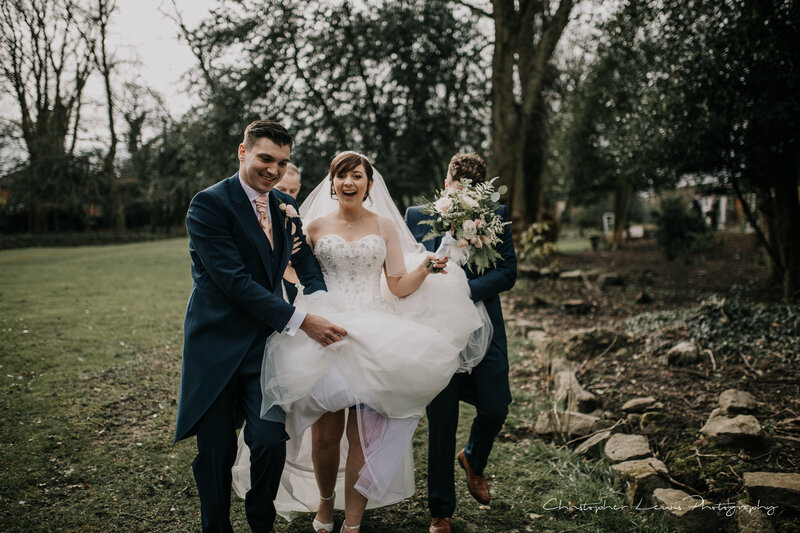 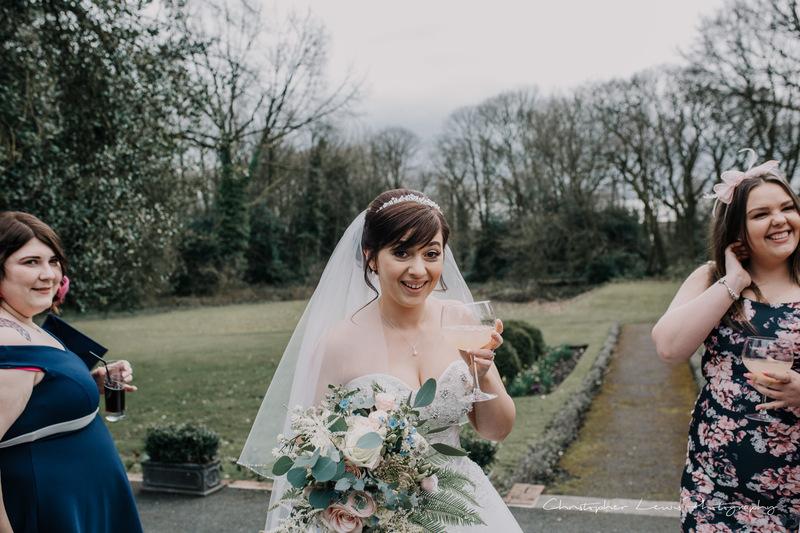 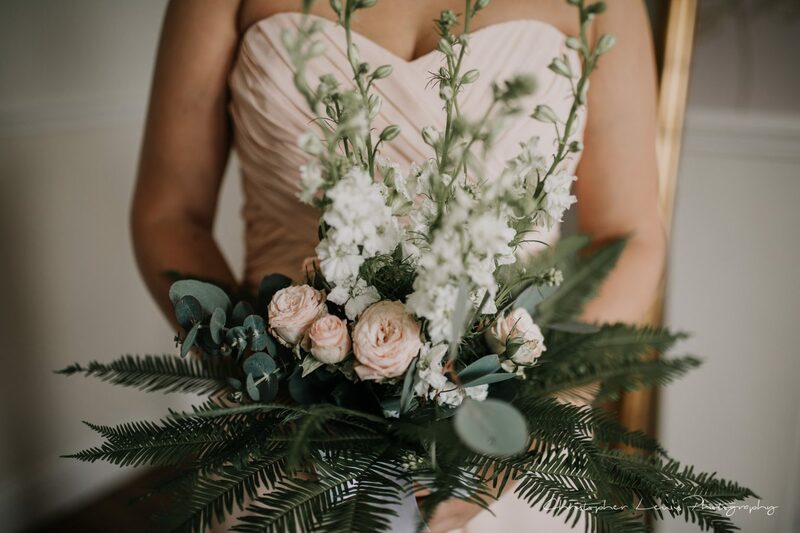 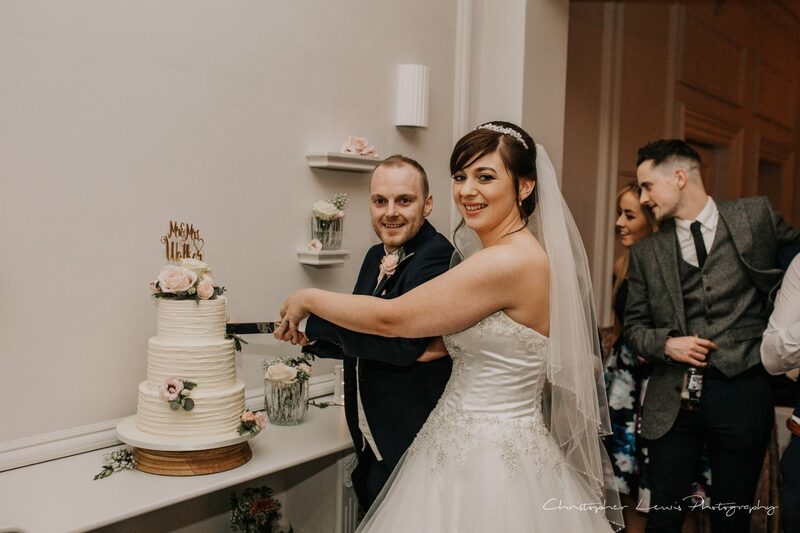 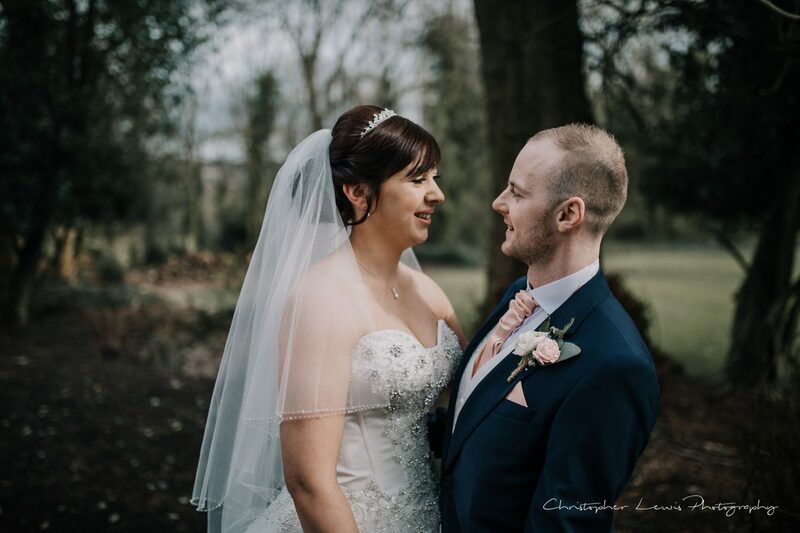 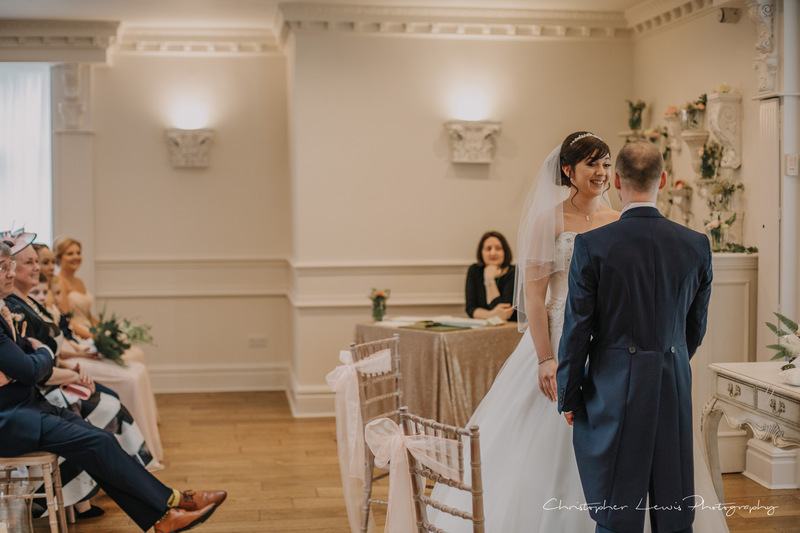 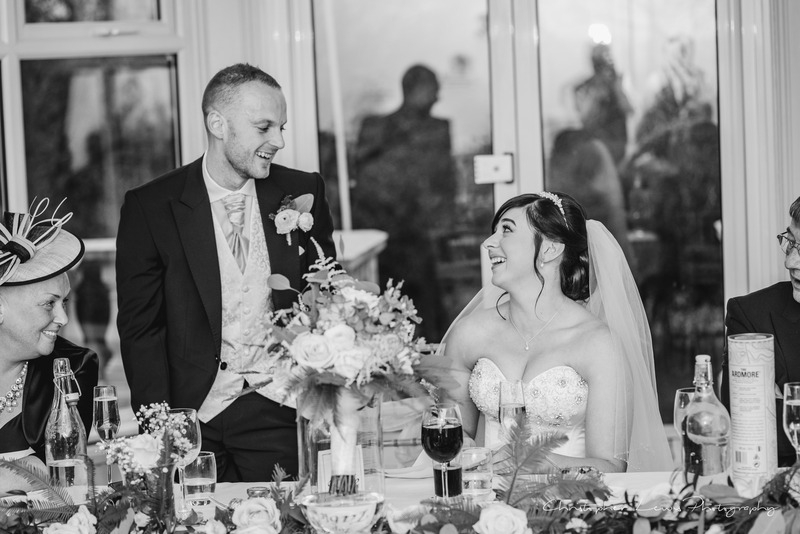 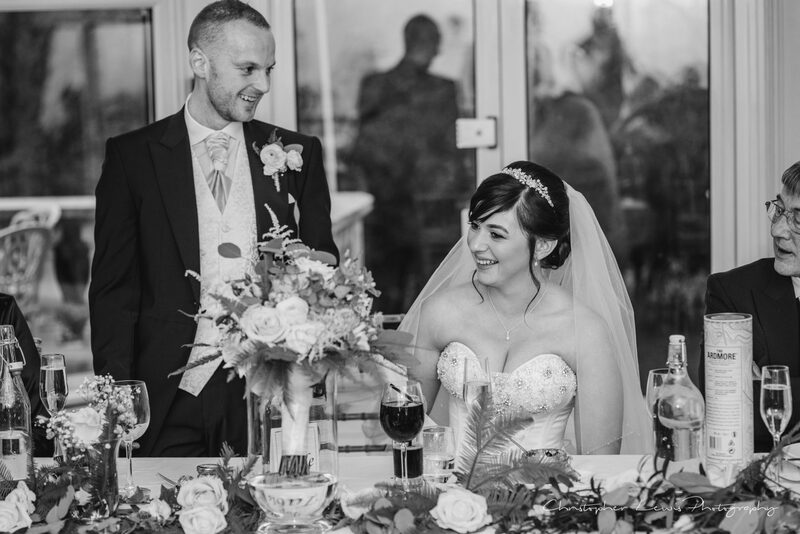 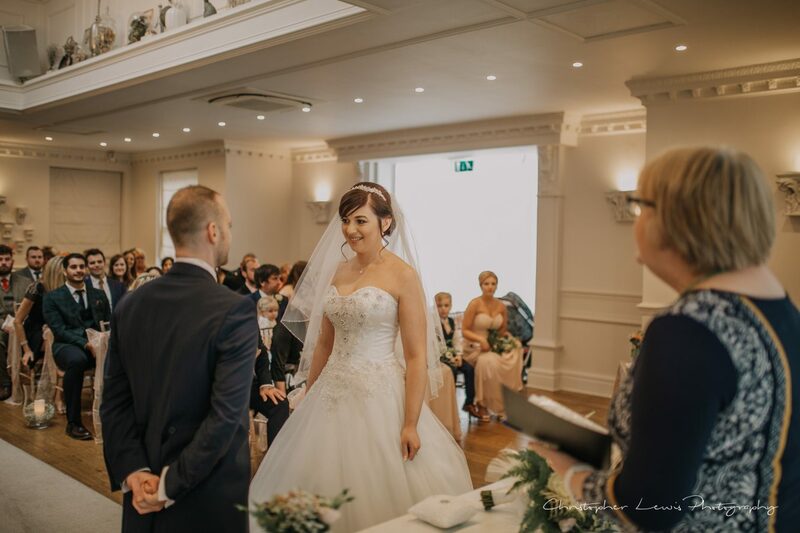 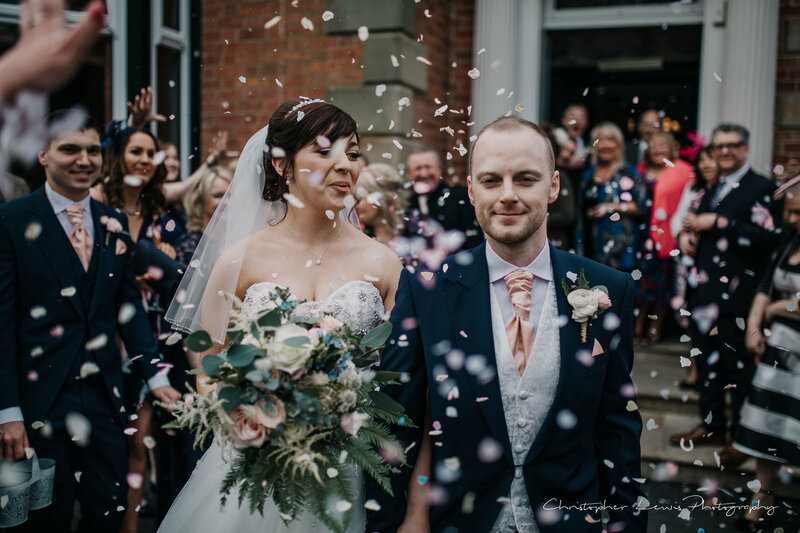 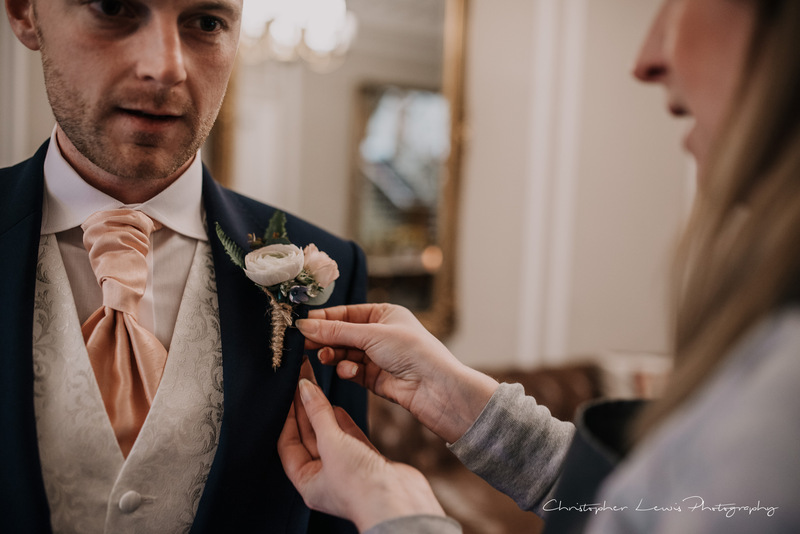 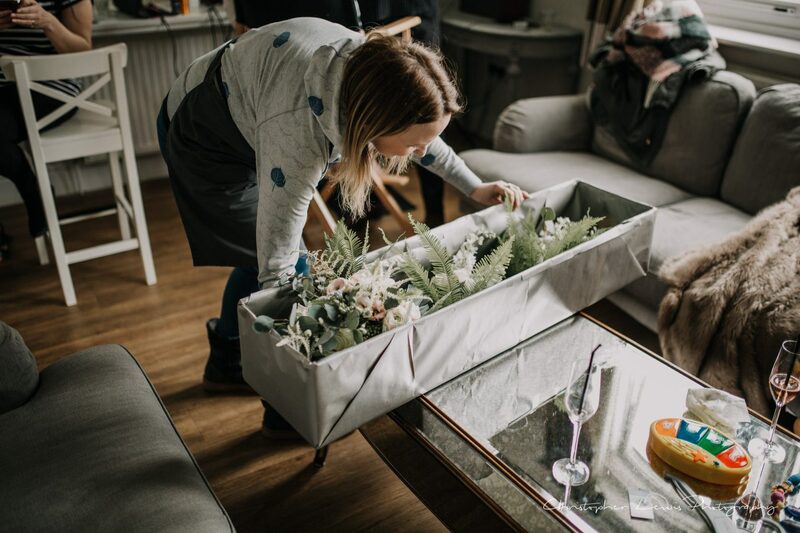 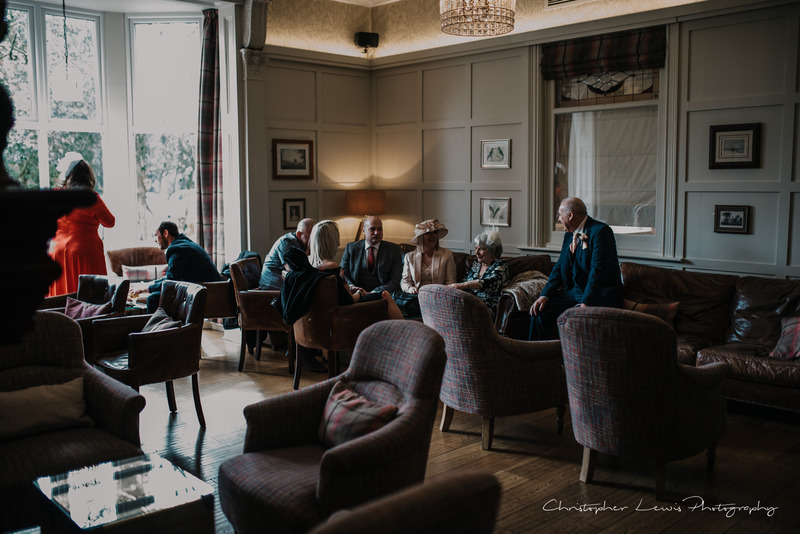 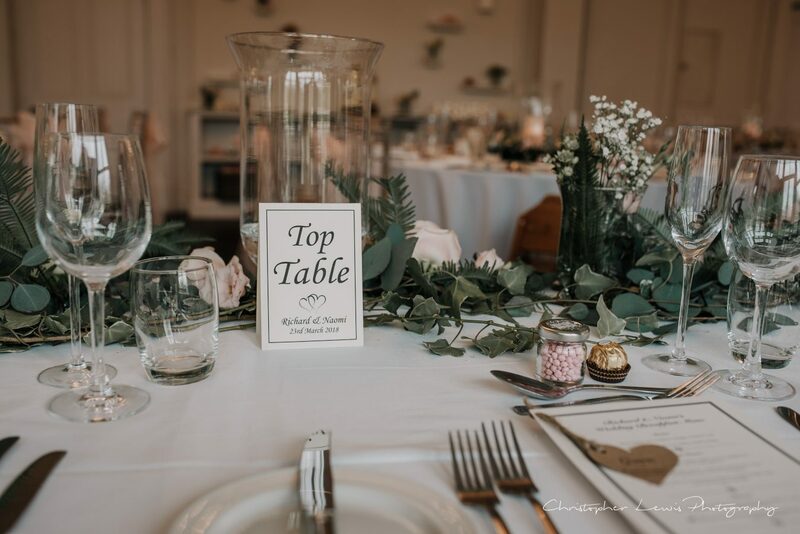 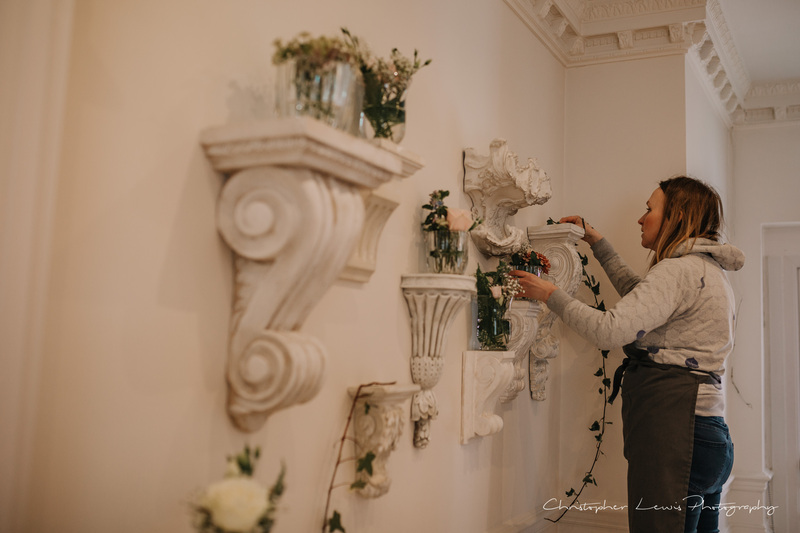 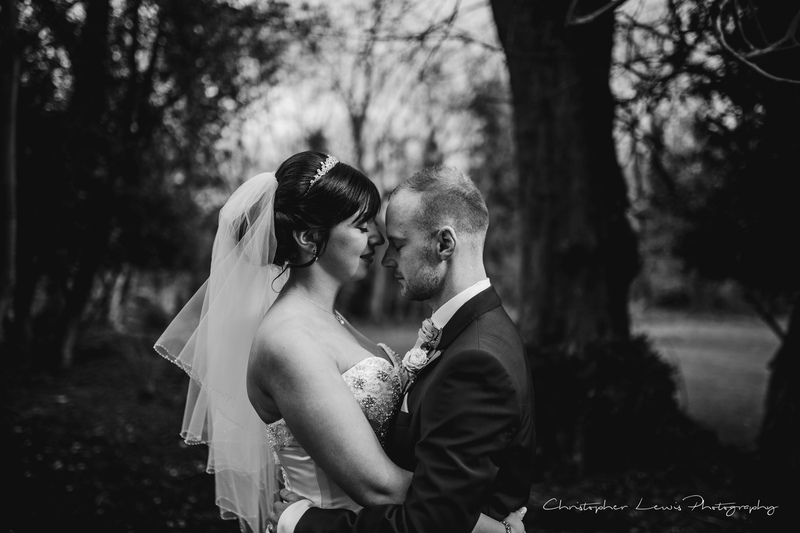 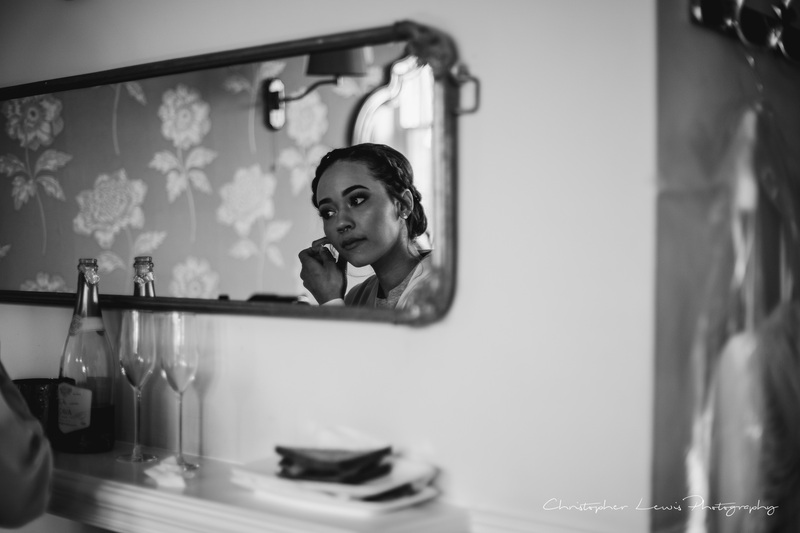 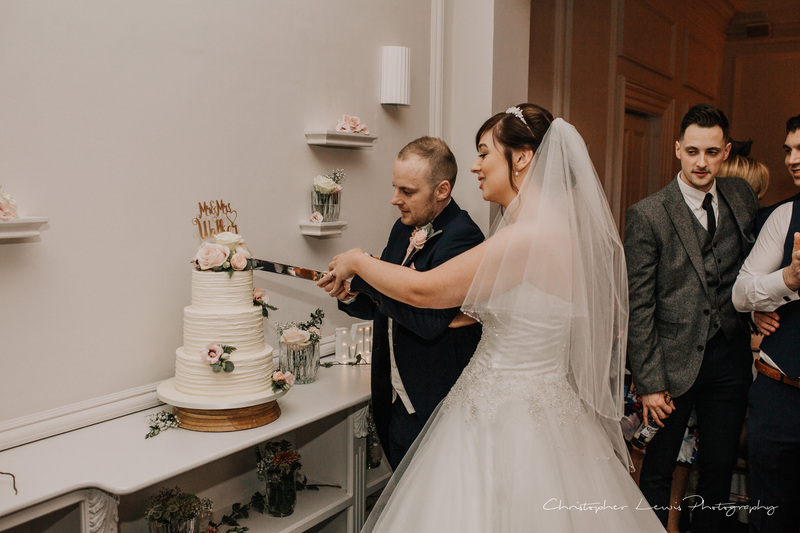 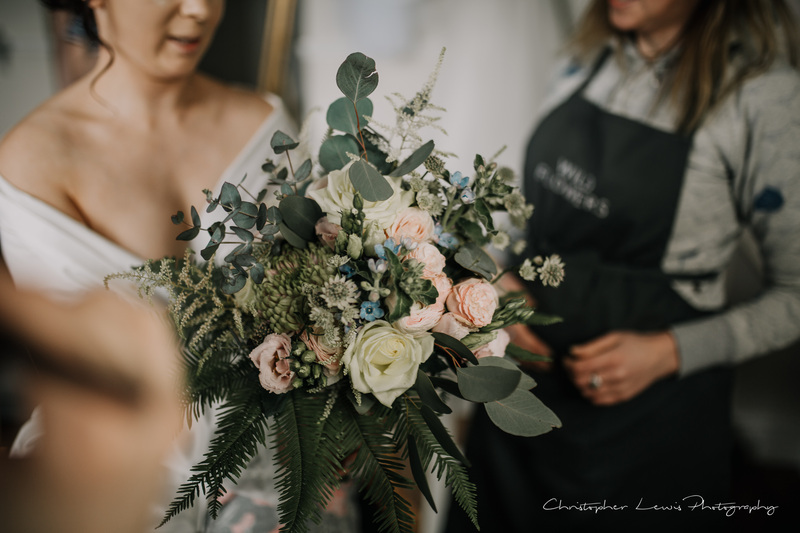 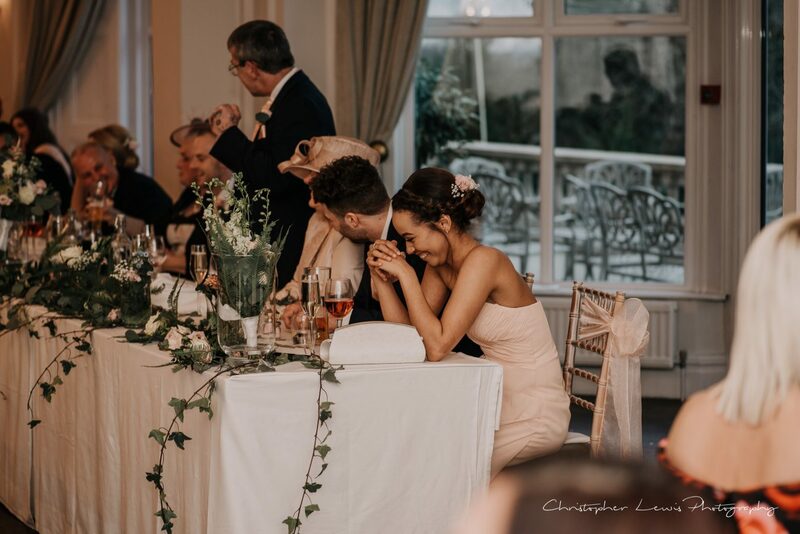 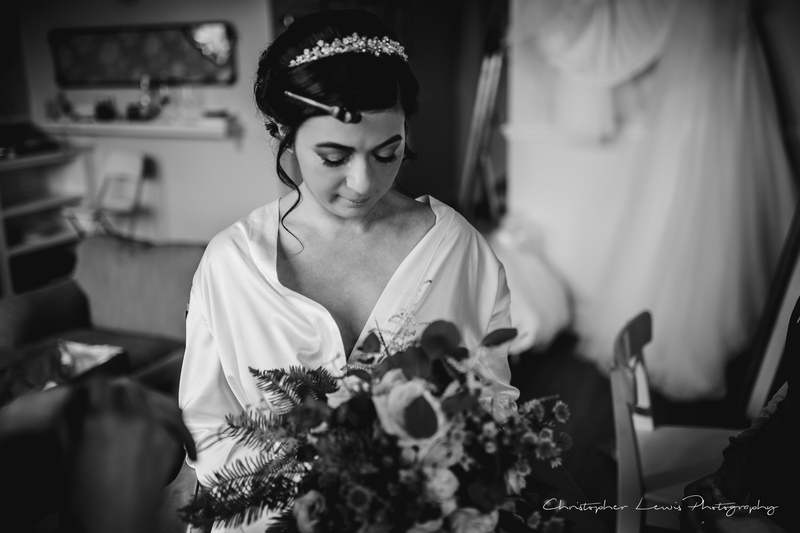 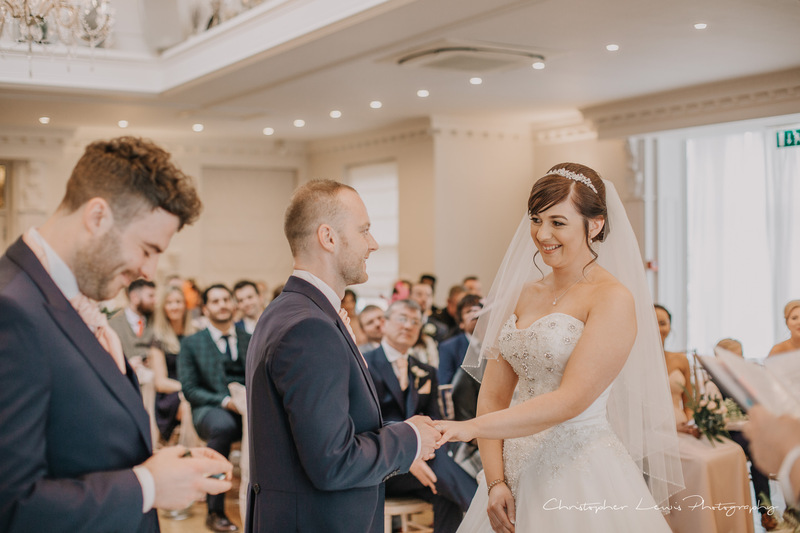 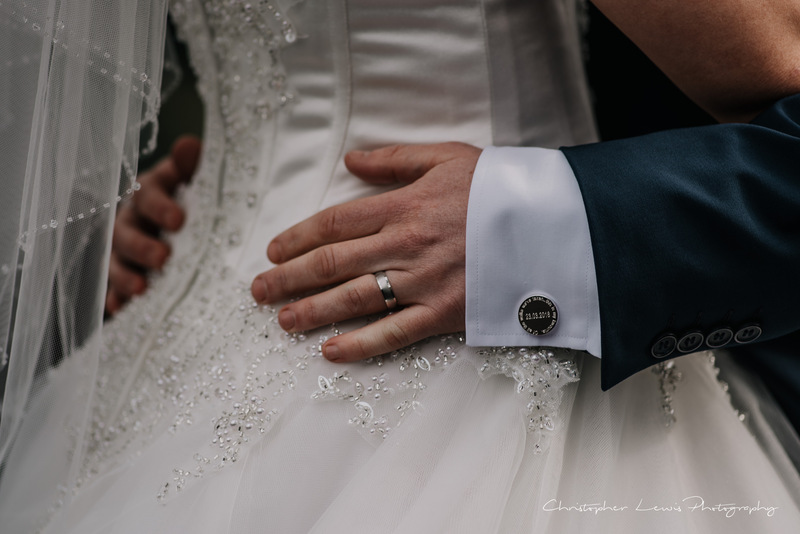 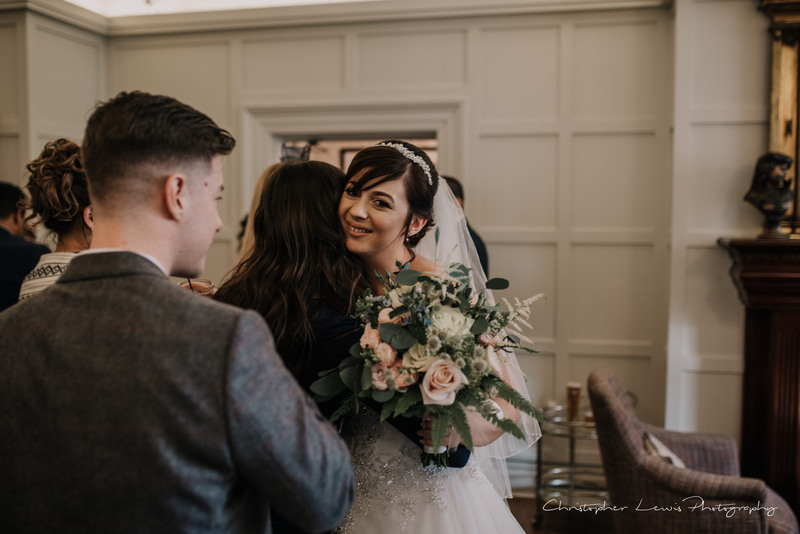 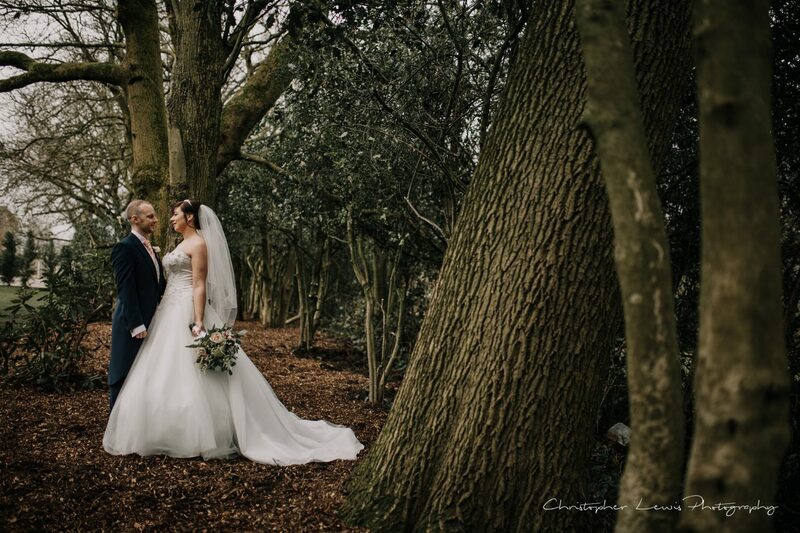 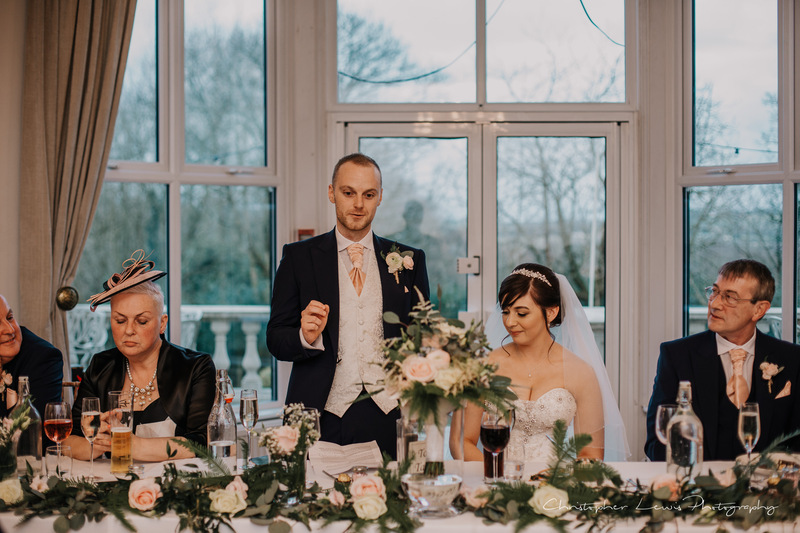 Seeing the care and attention to detail that goes into a couples big day is so lovely, and we love capturing it for the couple to see once they get their images from us. 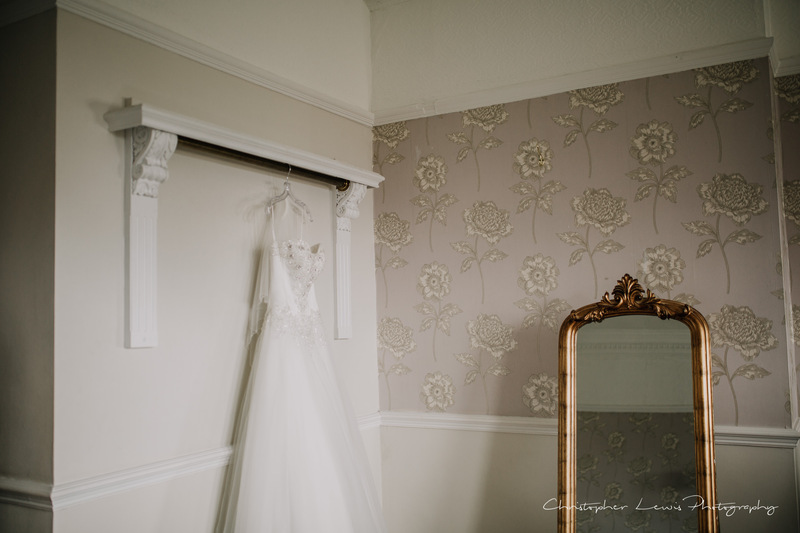 Ashfield House has its very own sitting room, a little haven for the bride to get ready in the morning. 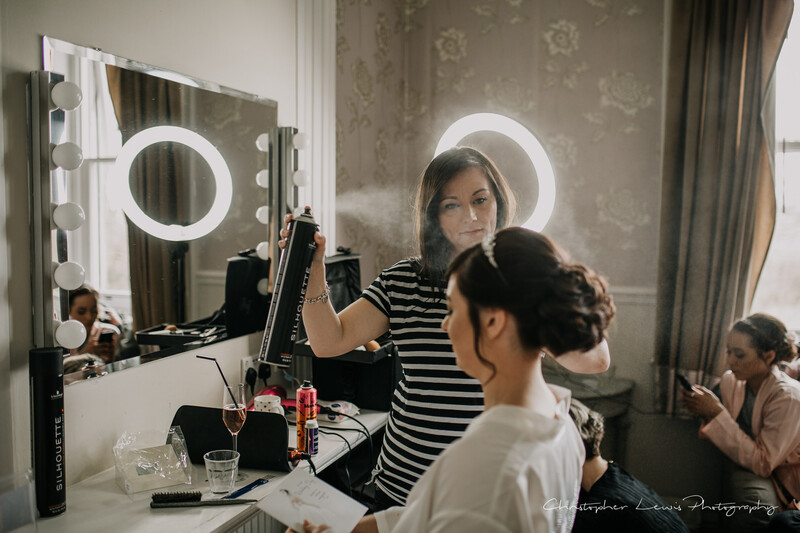 It makes a big difference to the day compared to getting ready at home. 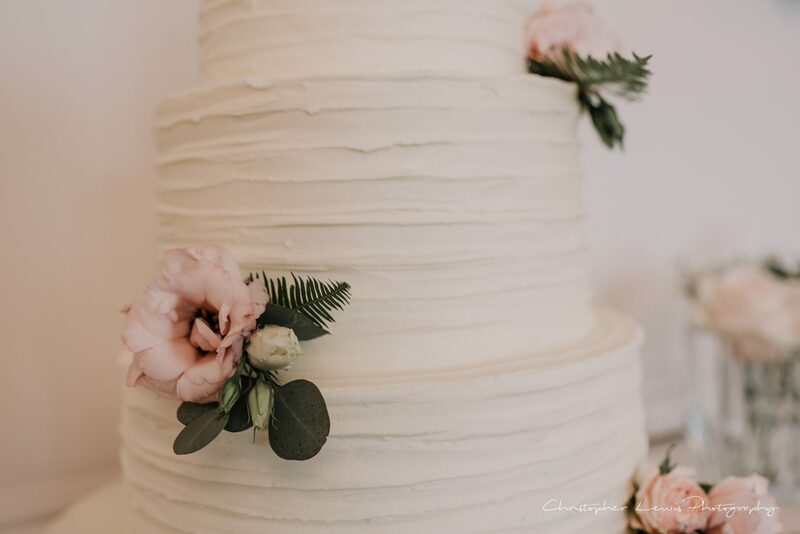 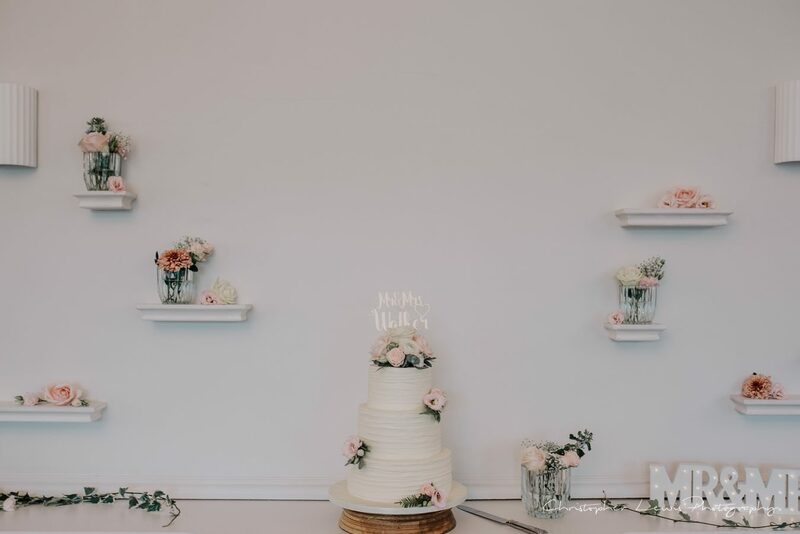 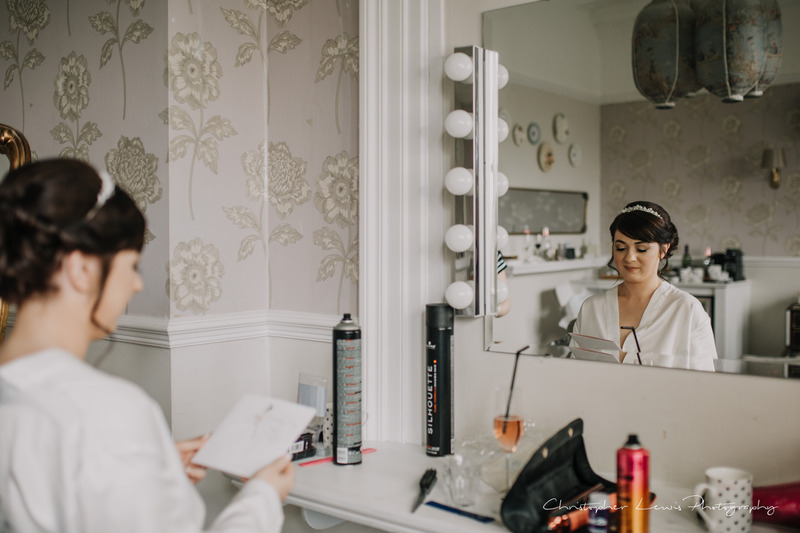 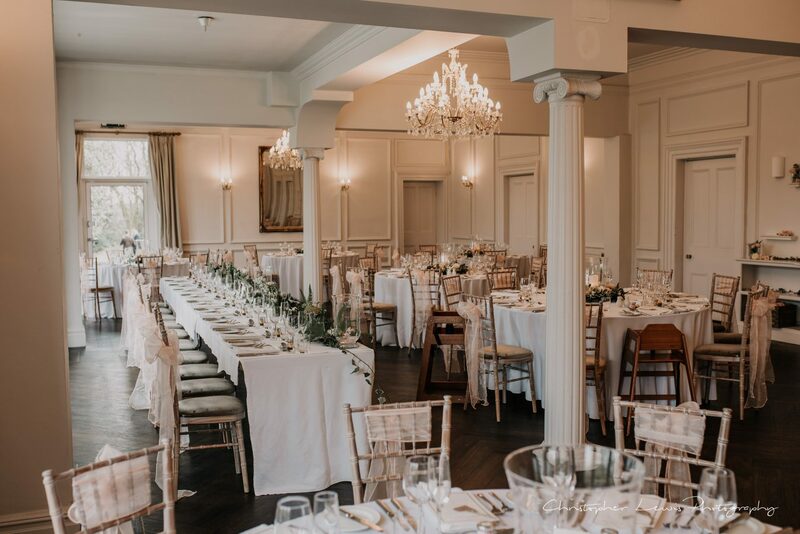 Not only is it tastefully decorated in calming colours, but the staff at Ashfield also take care of breakfast for the bridal party while they’re getting pampered by the hair and make-up team. 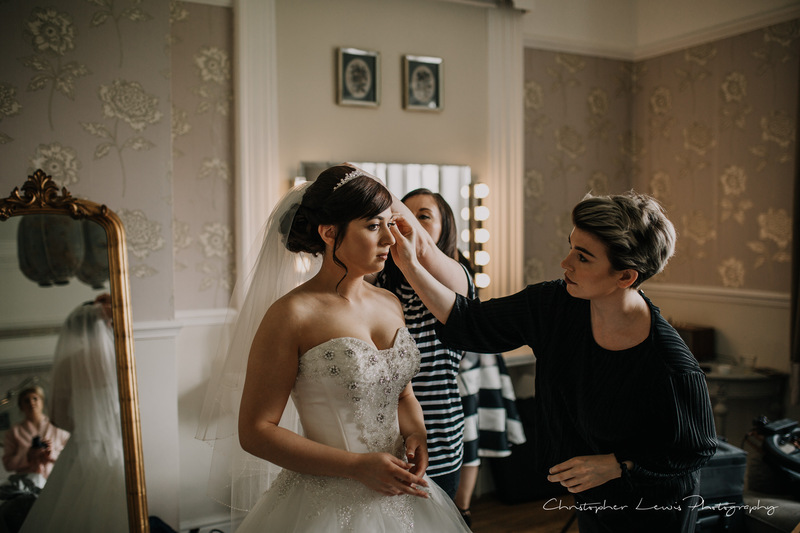 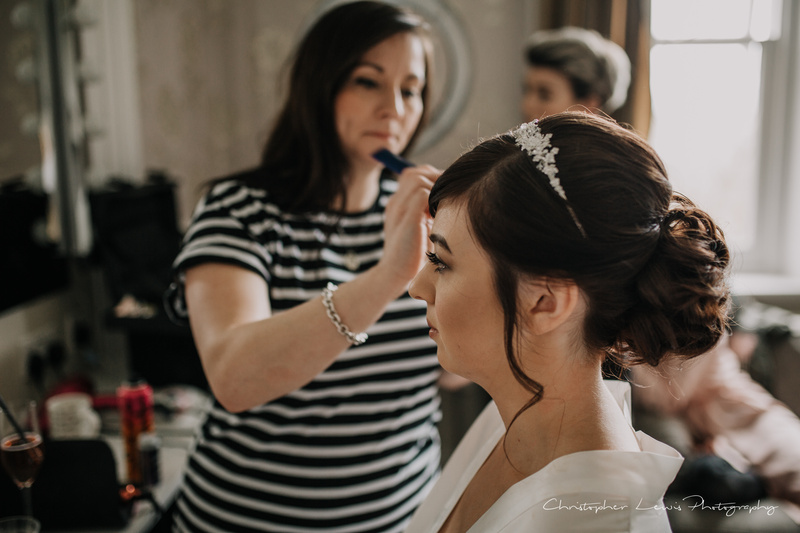 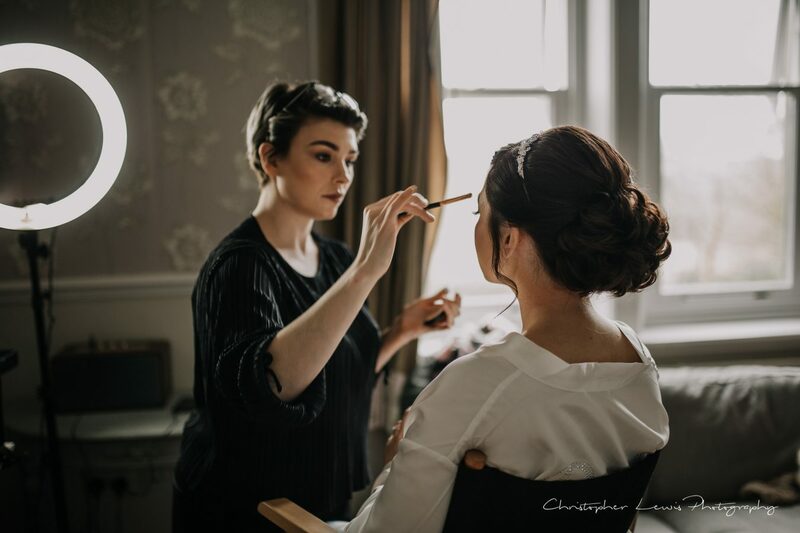 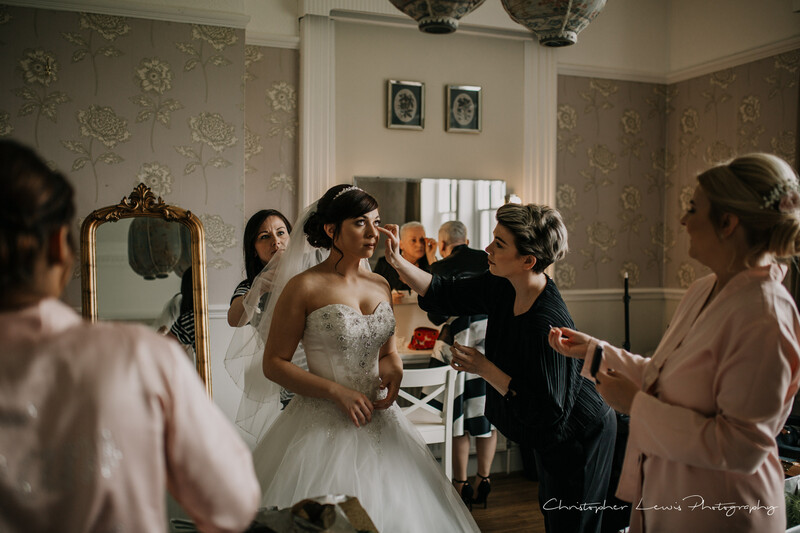 On Naomi and Ricks wedding day I had the pleasure of spending the morning with Kat Farrington and Fiona Longshaw, highly sought after hair and makeup team of Lily & Remi. 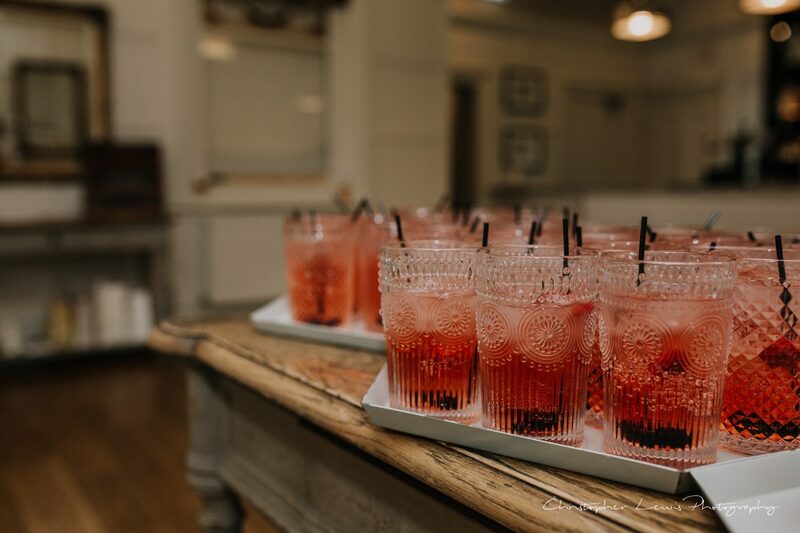 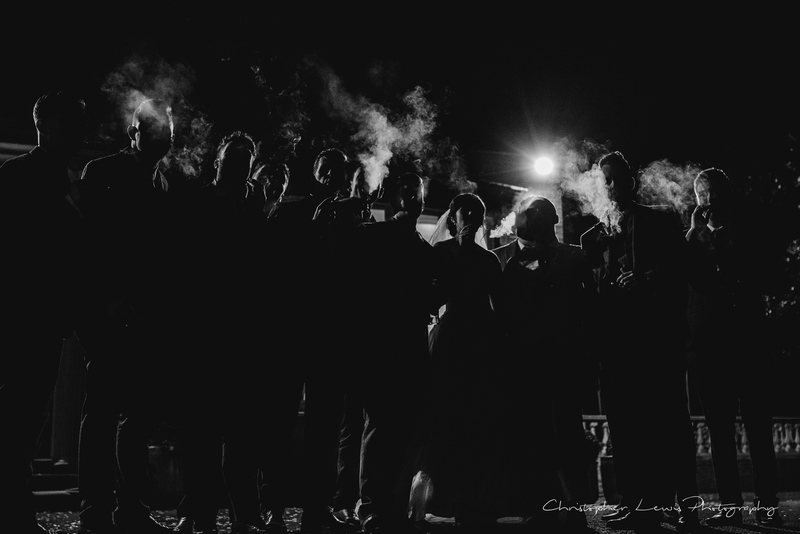 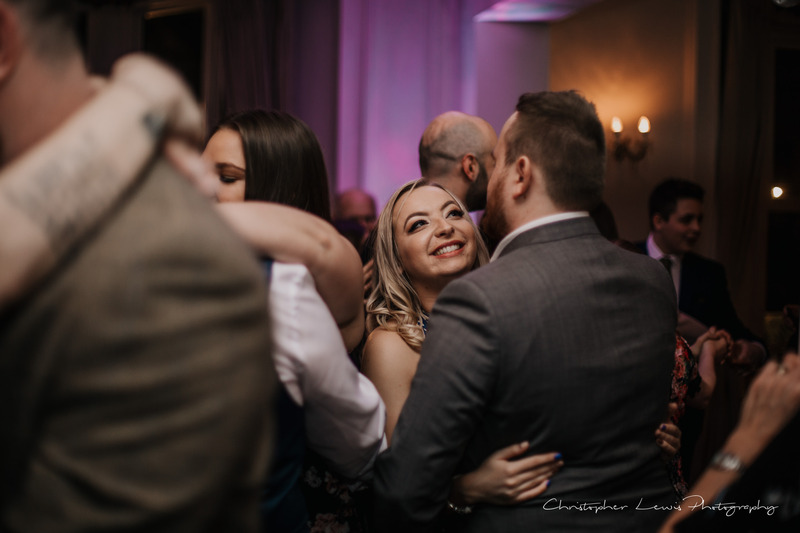 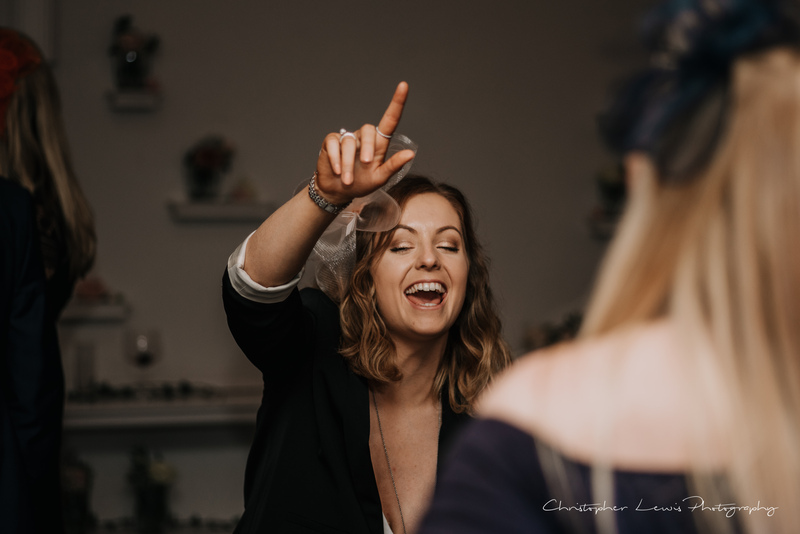 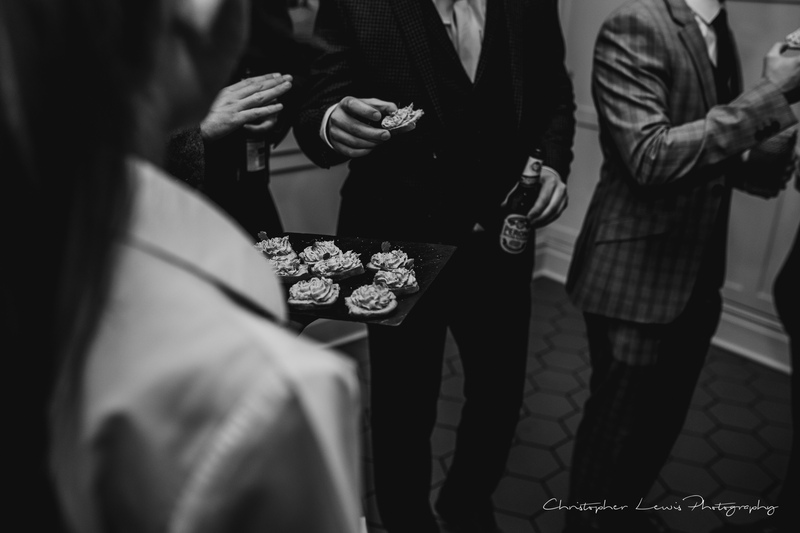 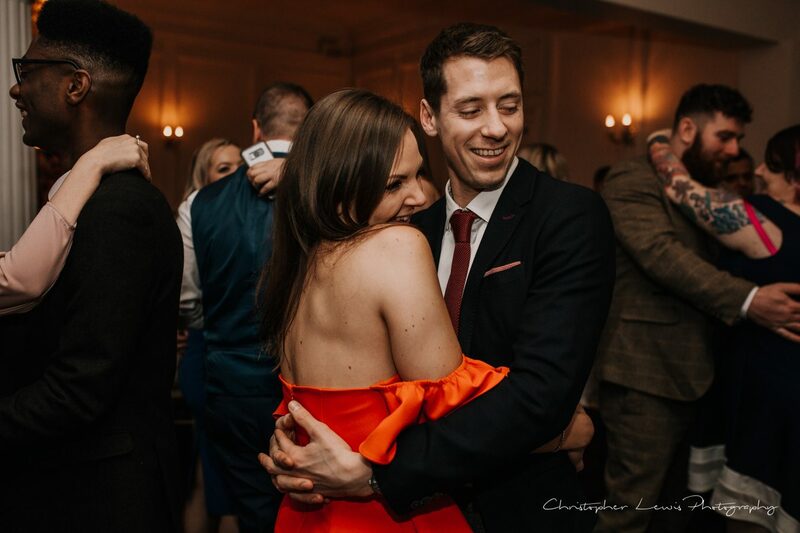 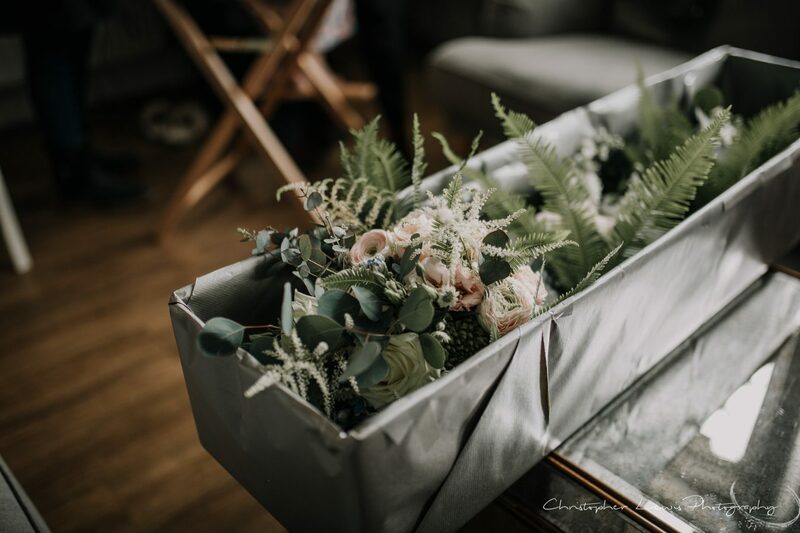 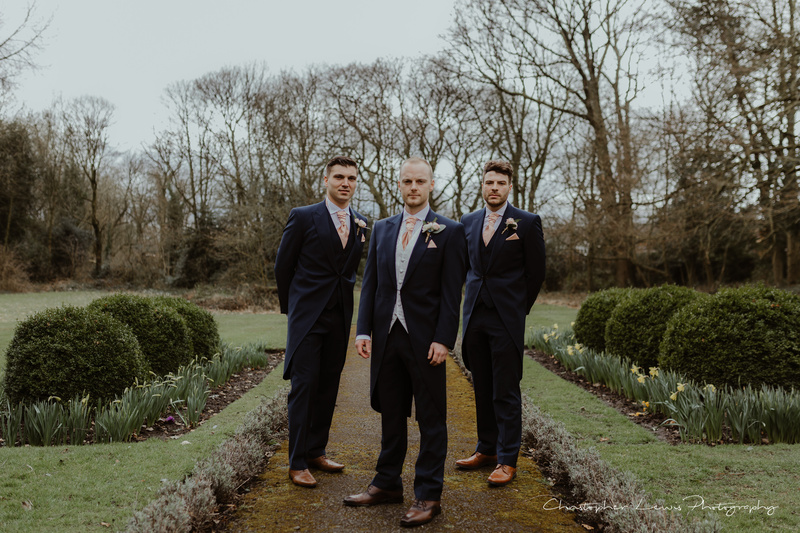 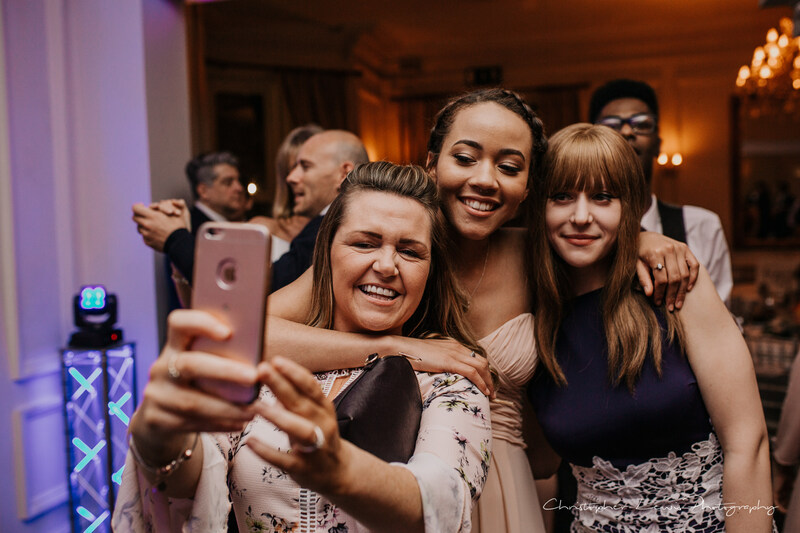 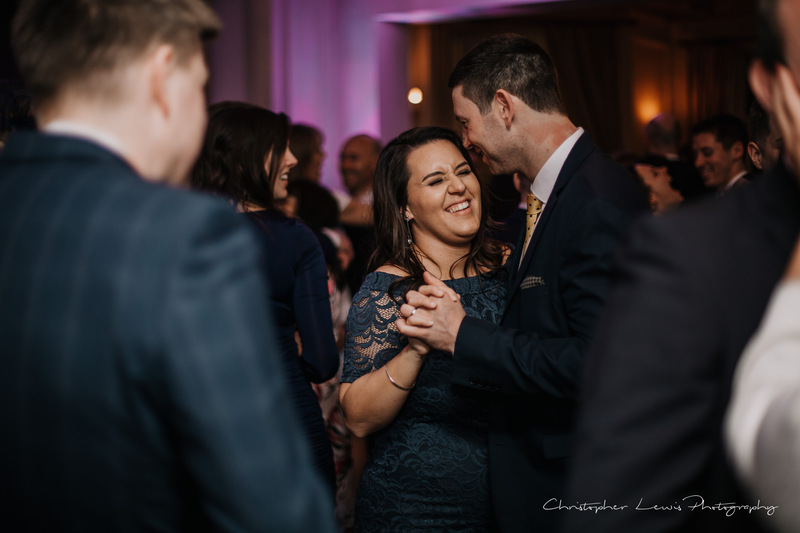 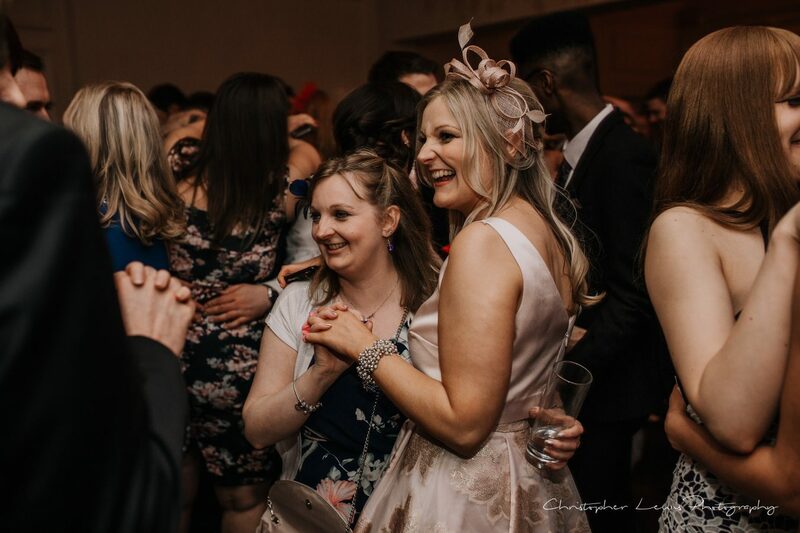 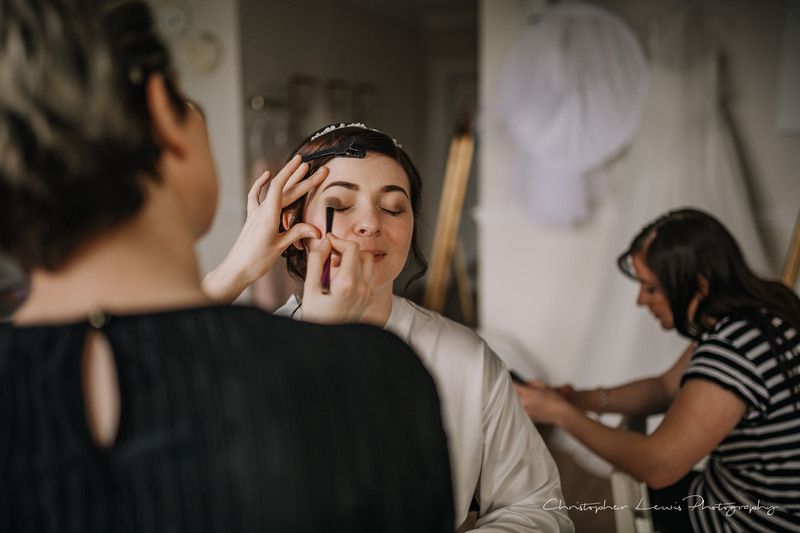 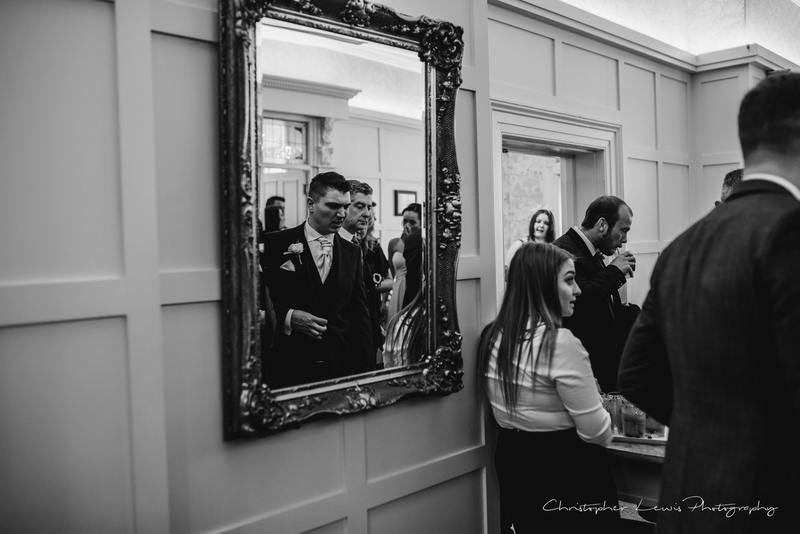 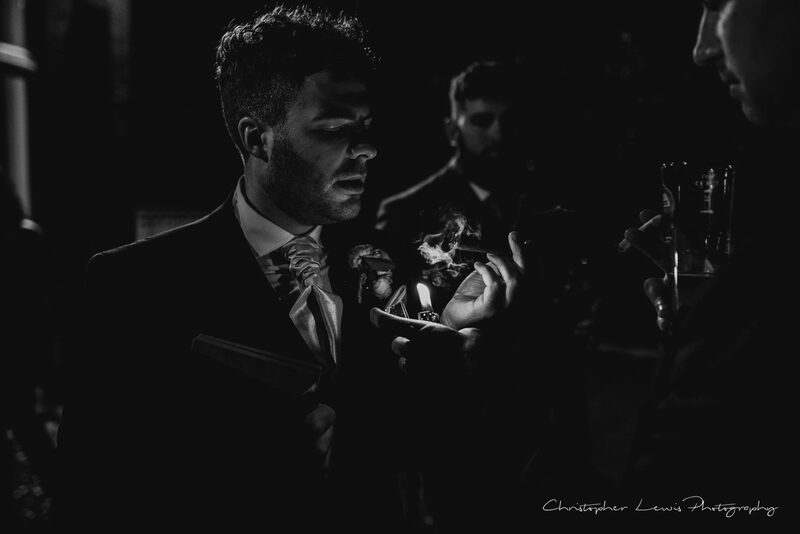 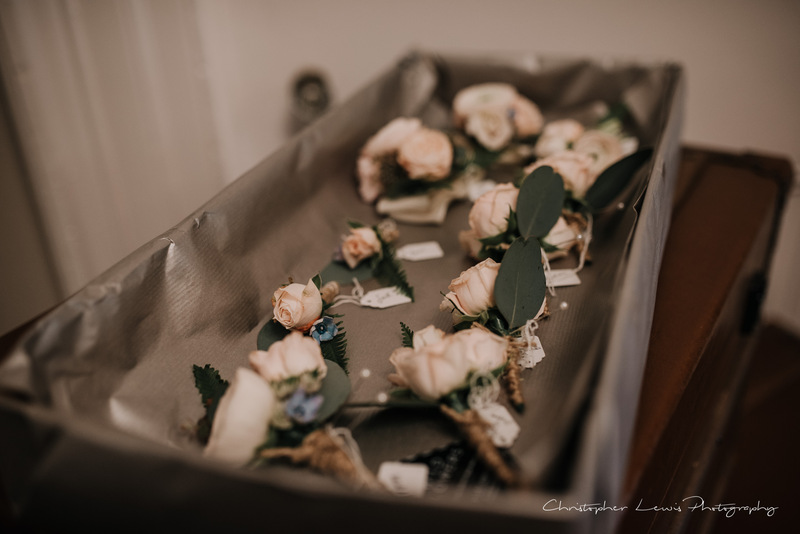 You’ll see from the pictures not only what an amazing job they did but also the fun and relaxed vibe they bring to the bride, crutial for calming those wedding morning nerves. 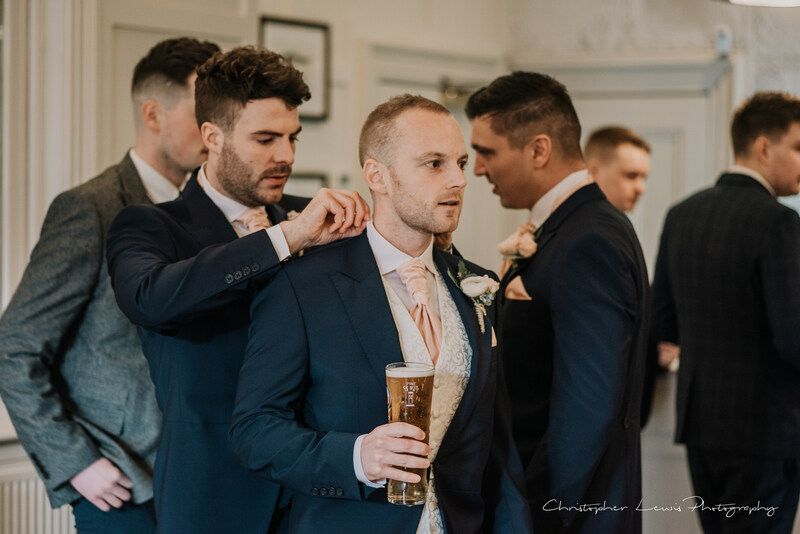 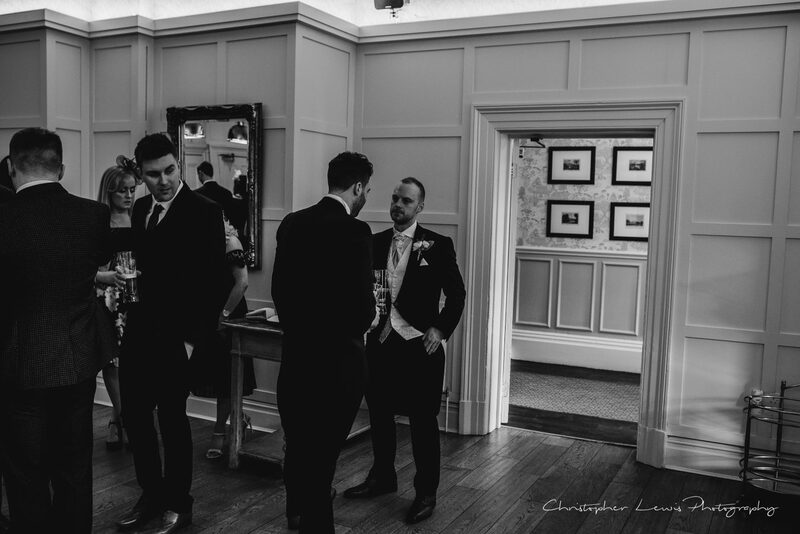 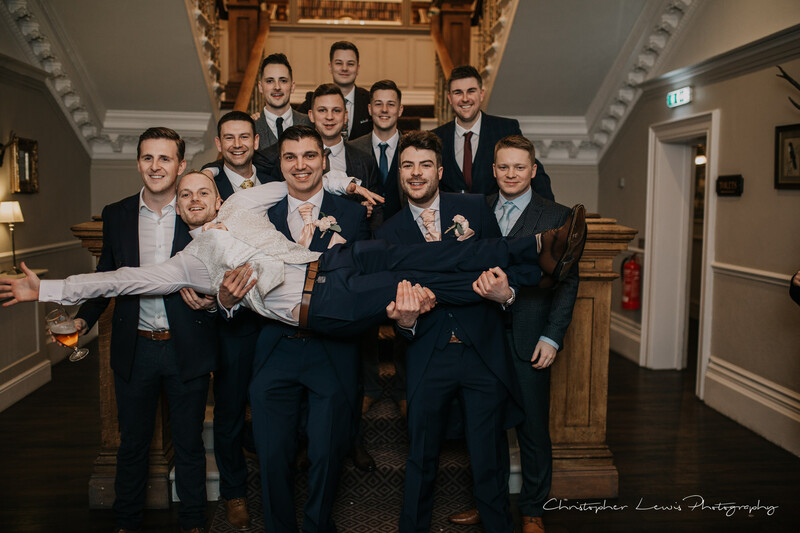 The boys arrived looking sharp, and after some photos together the groom greeted guests (and had a swift drink for dutch courage) while his bride was getting ready upstairs. 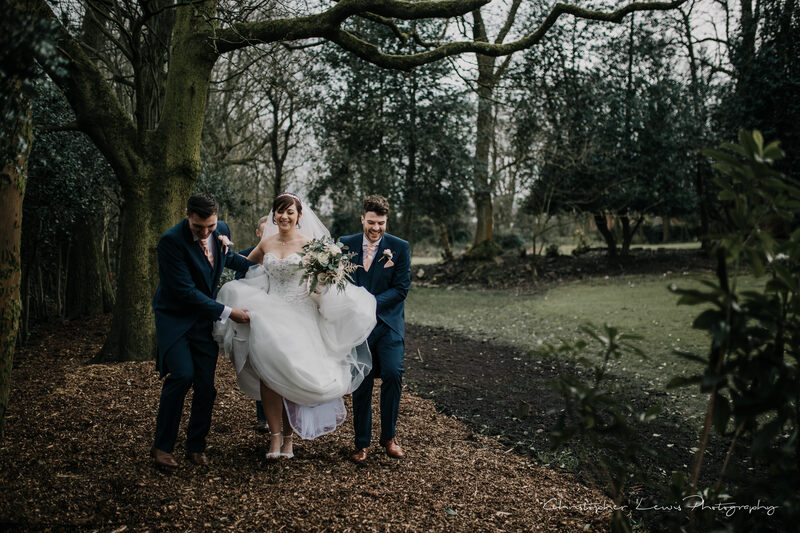 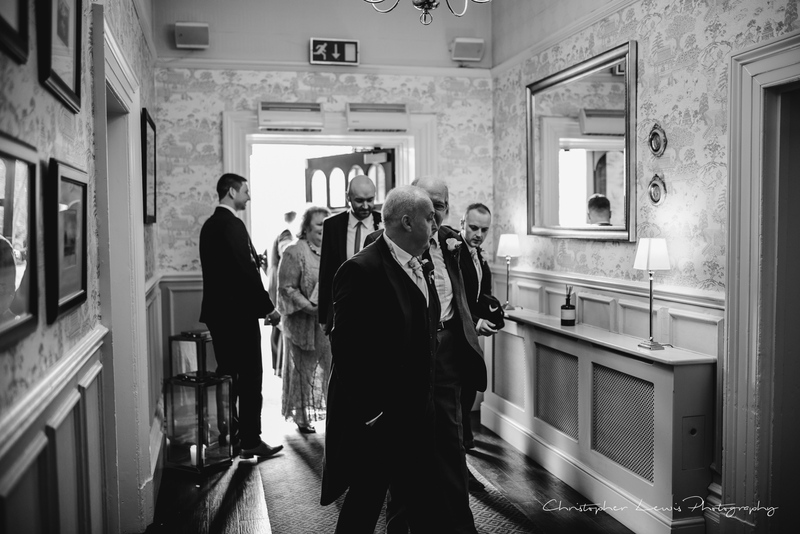 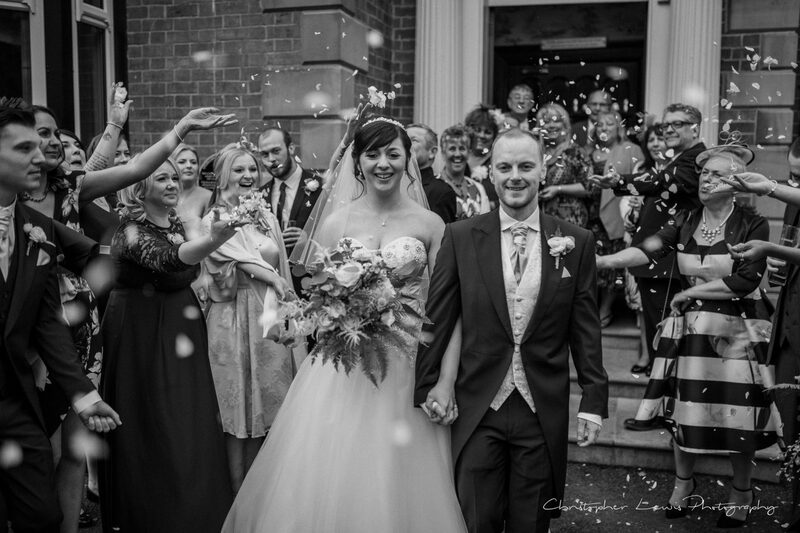 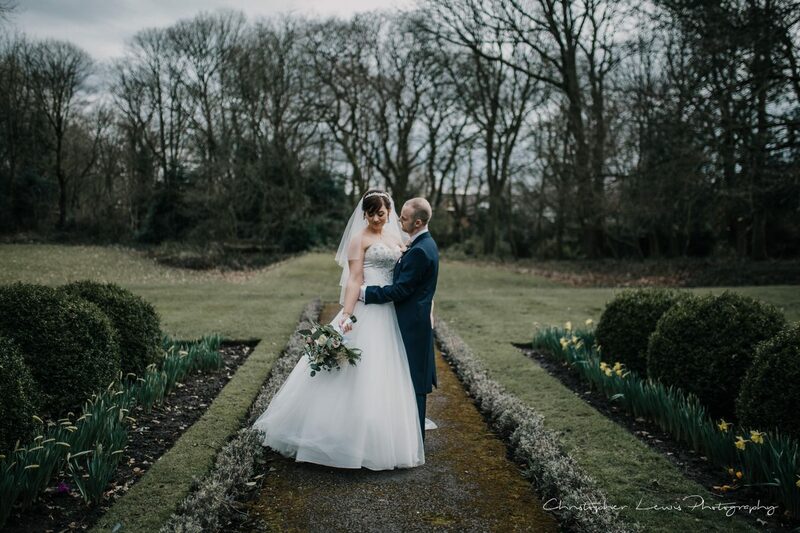 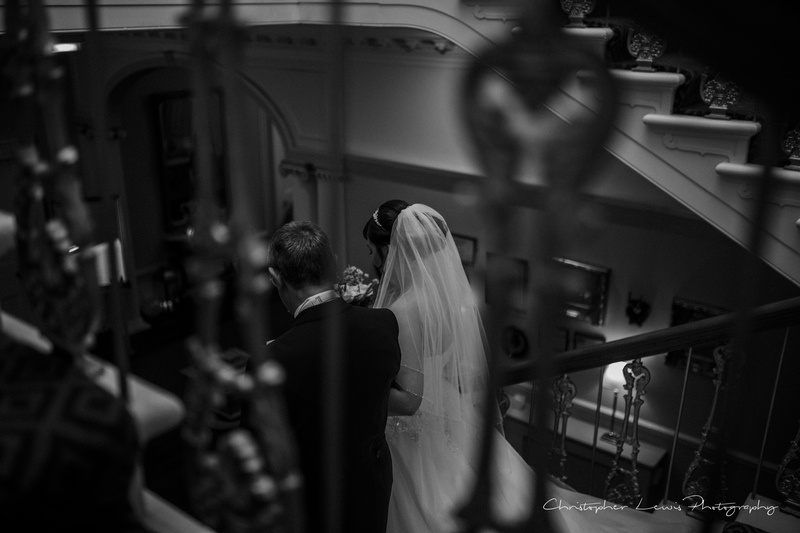 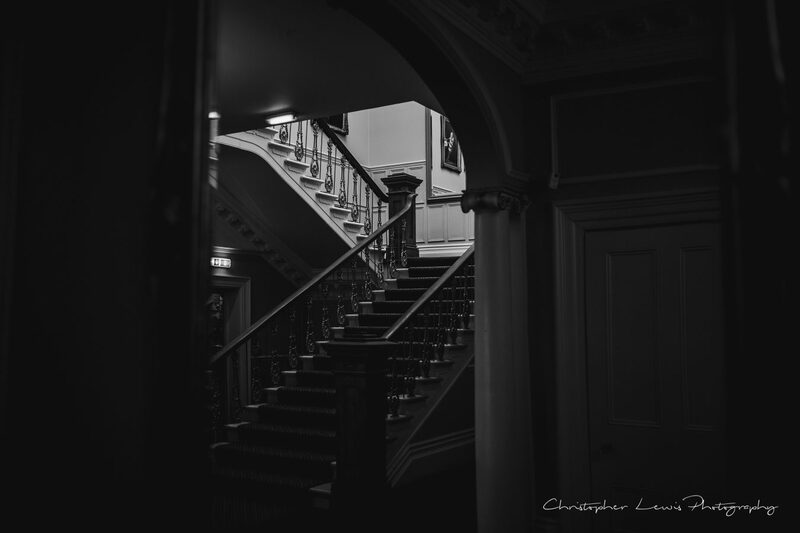 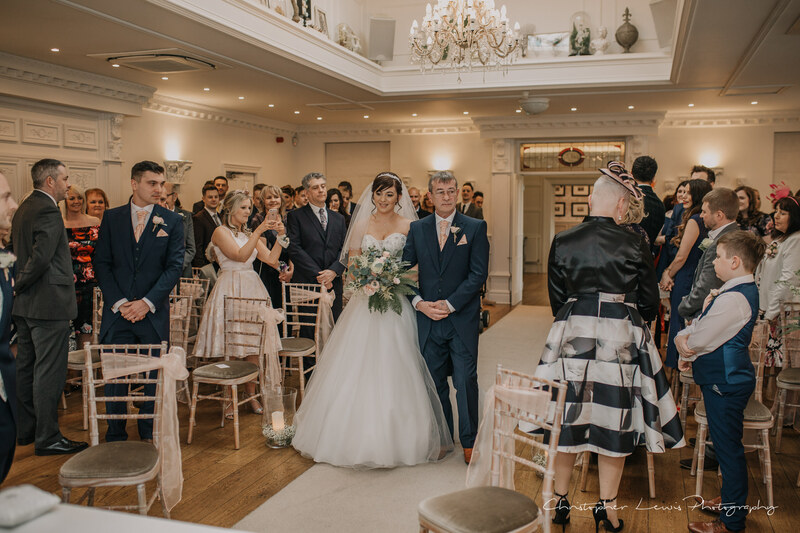 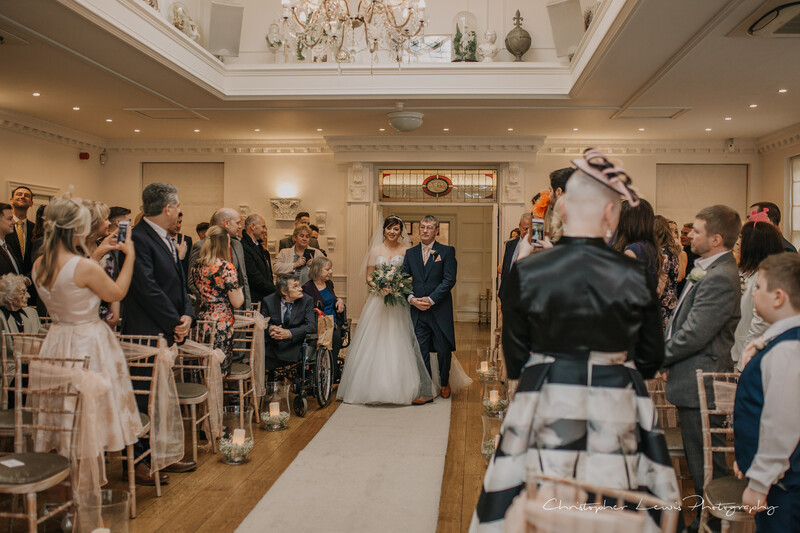 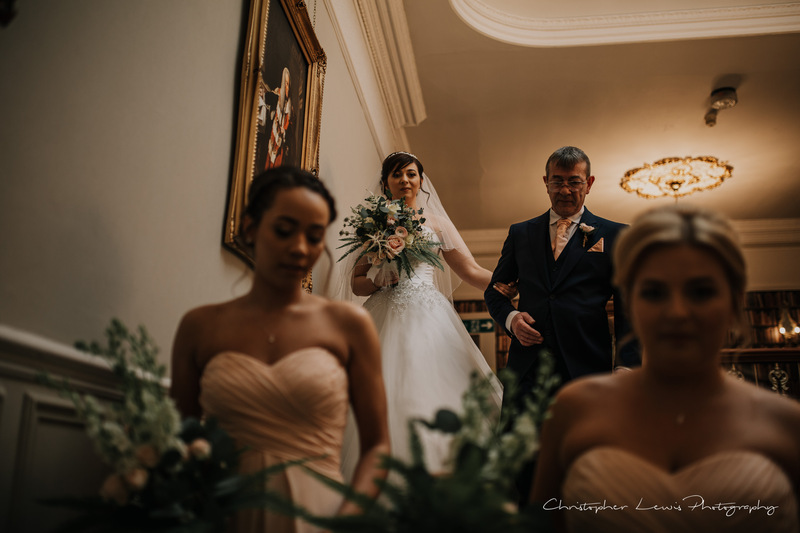 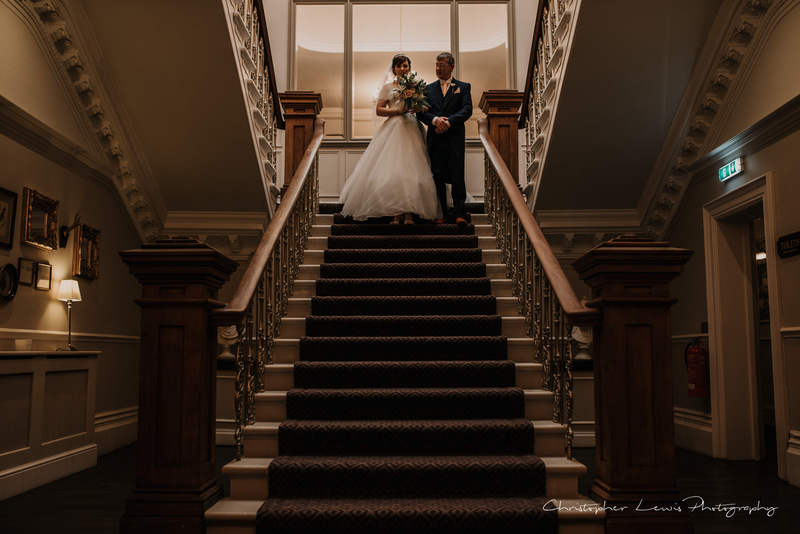 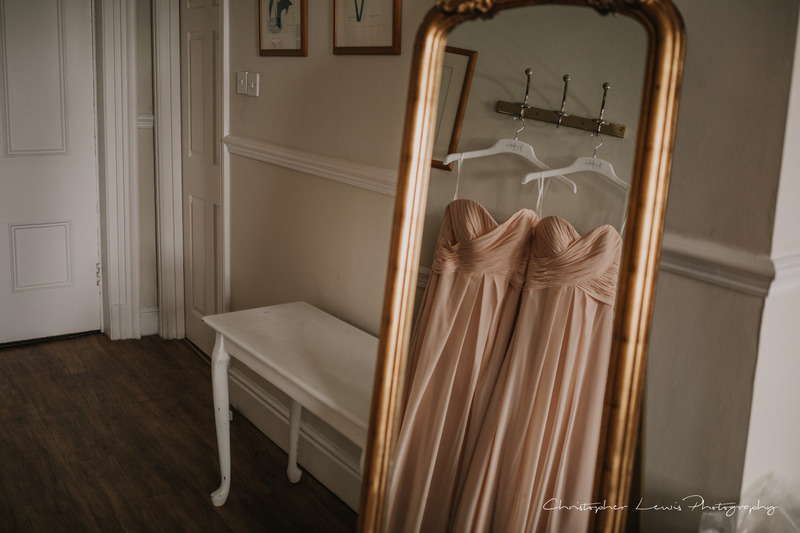 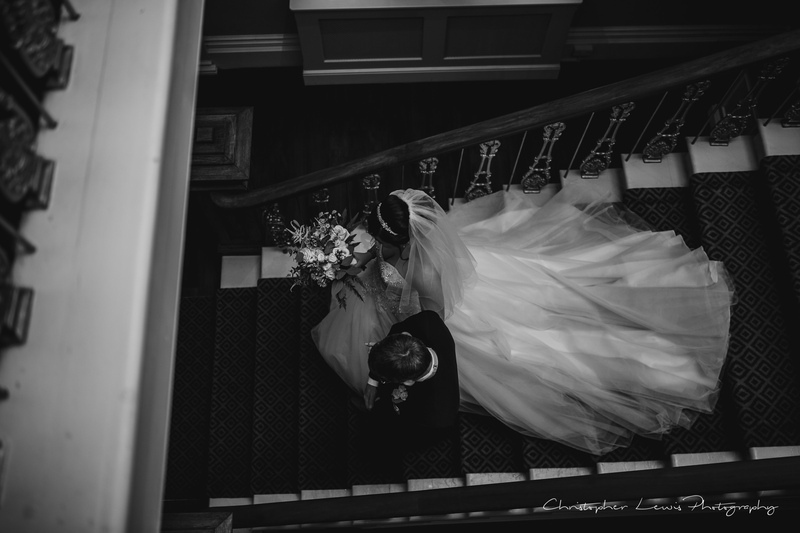 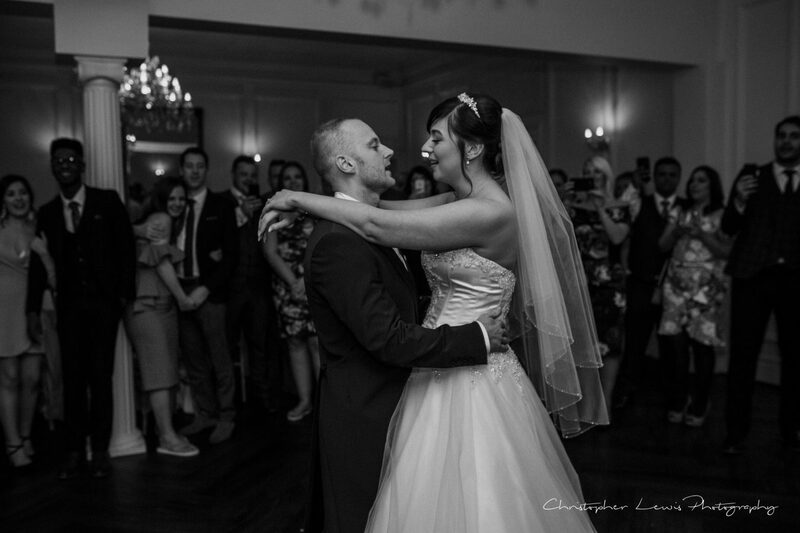 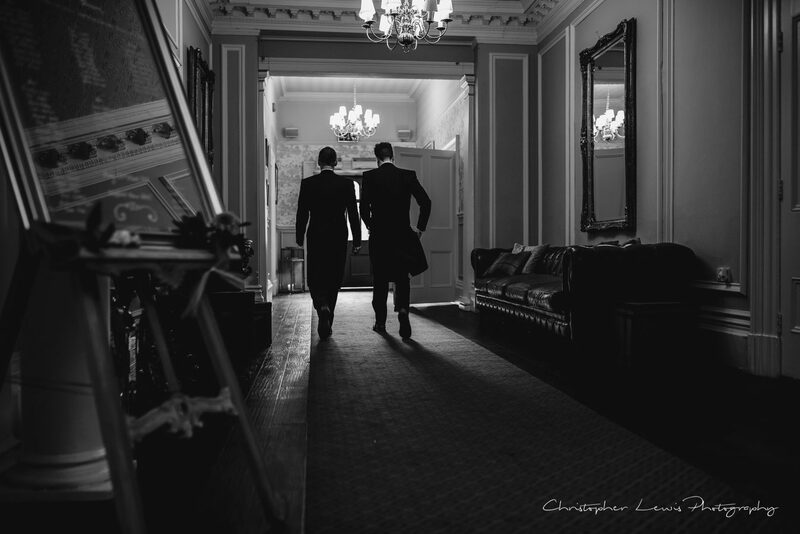 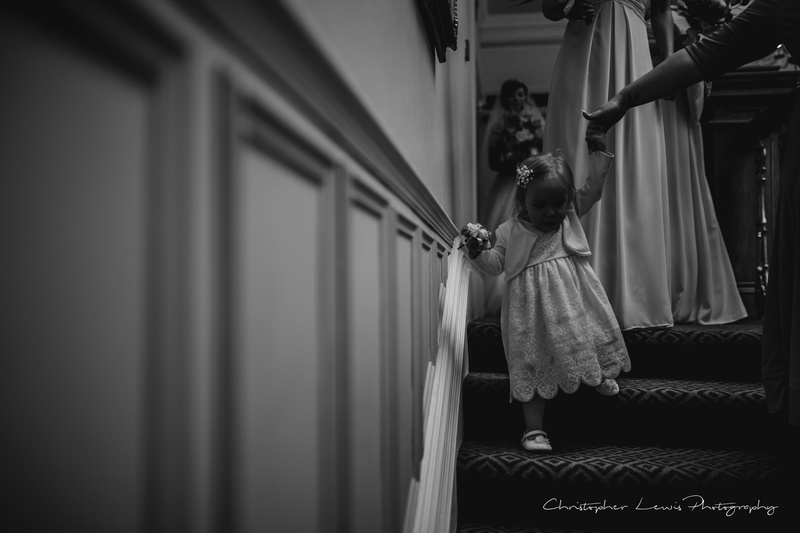 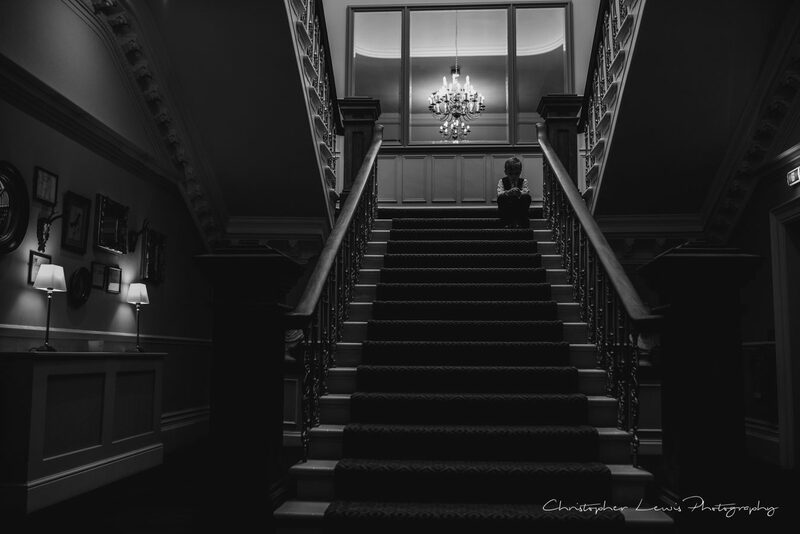 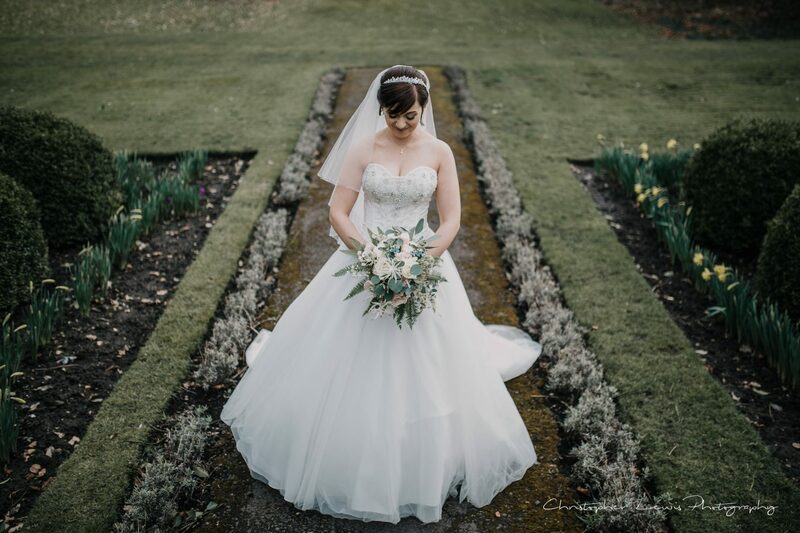 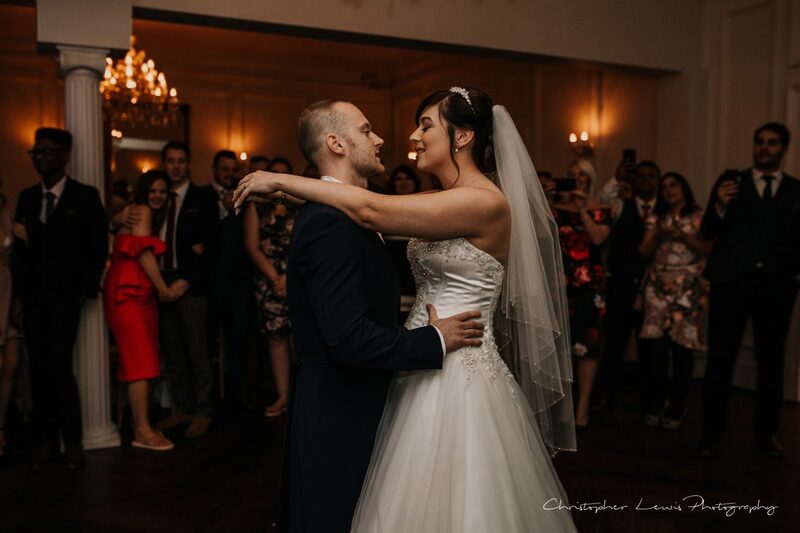 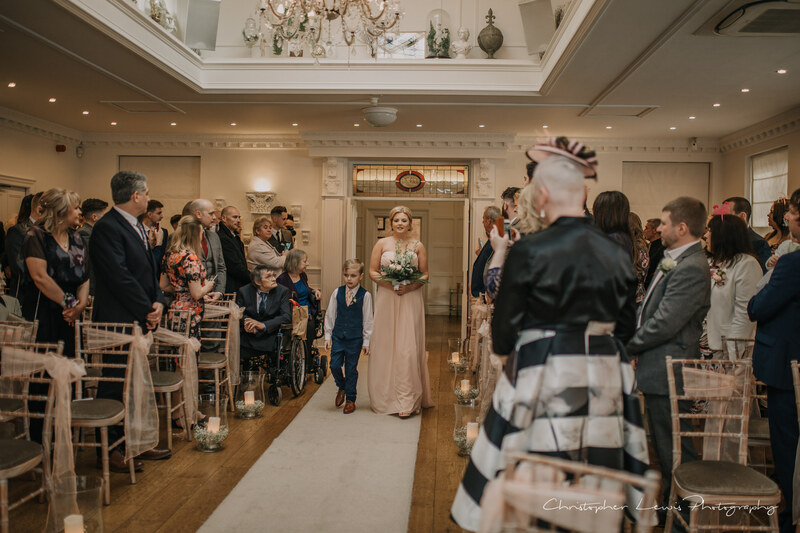 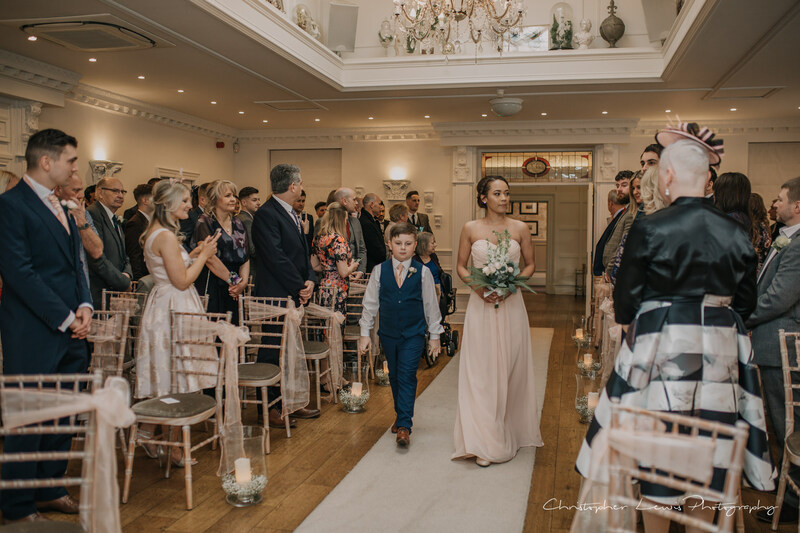 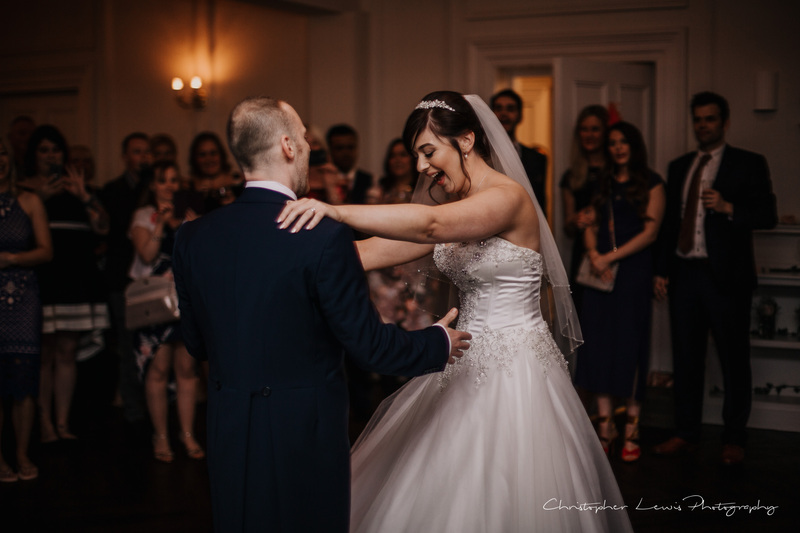 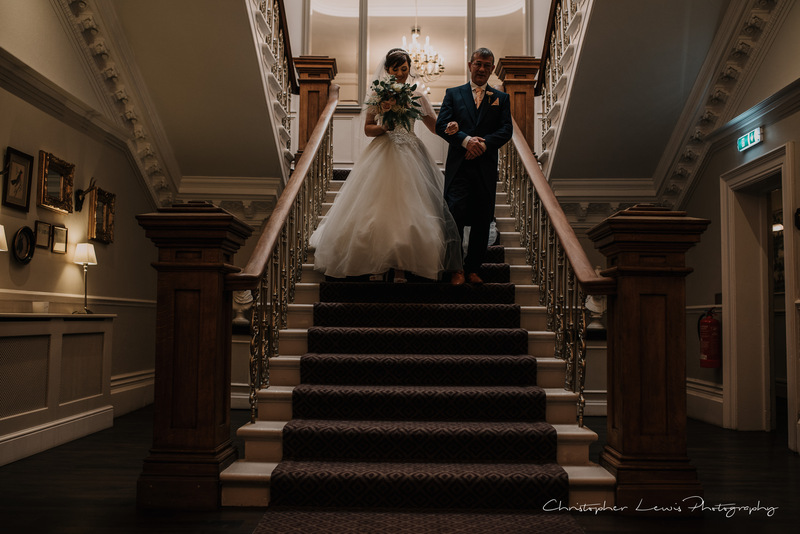 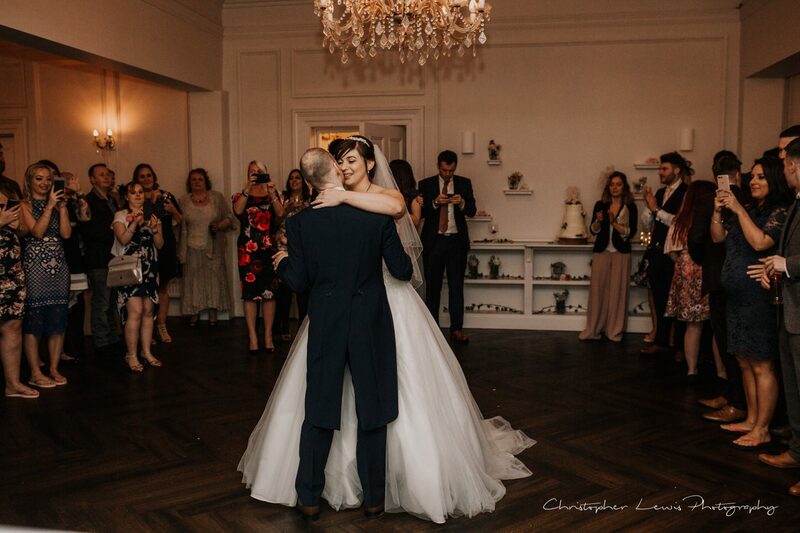 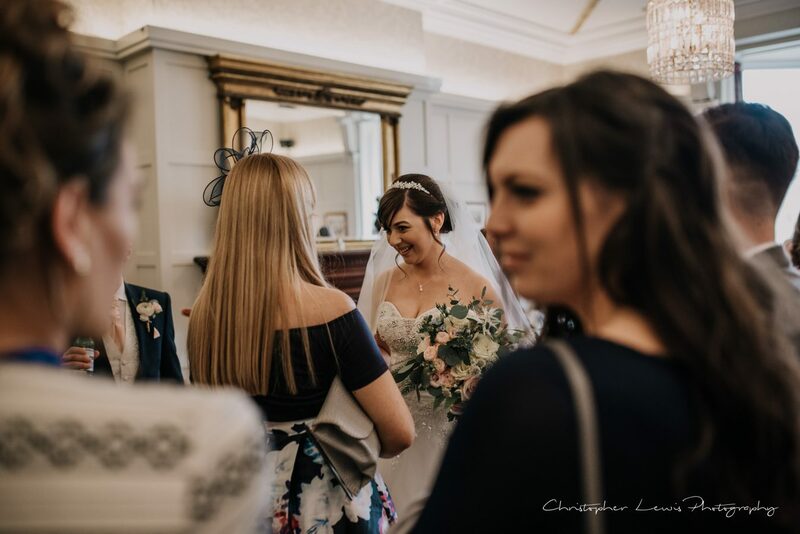 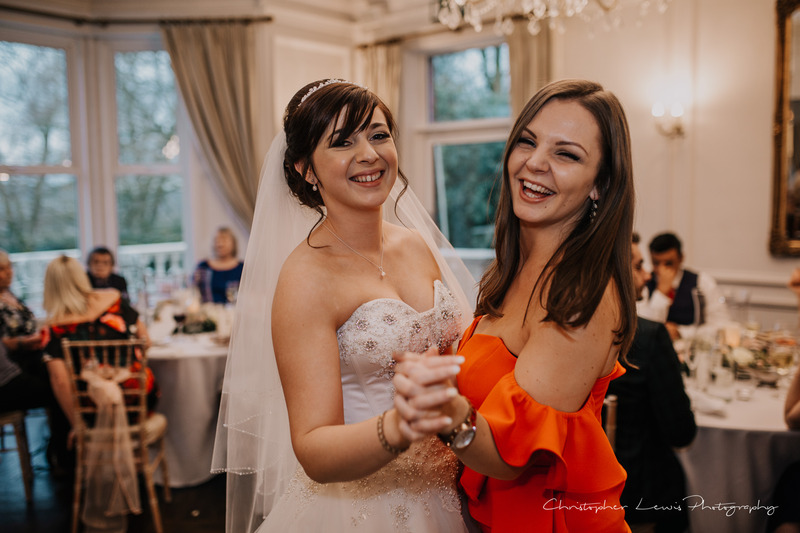 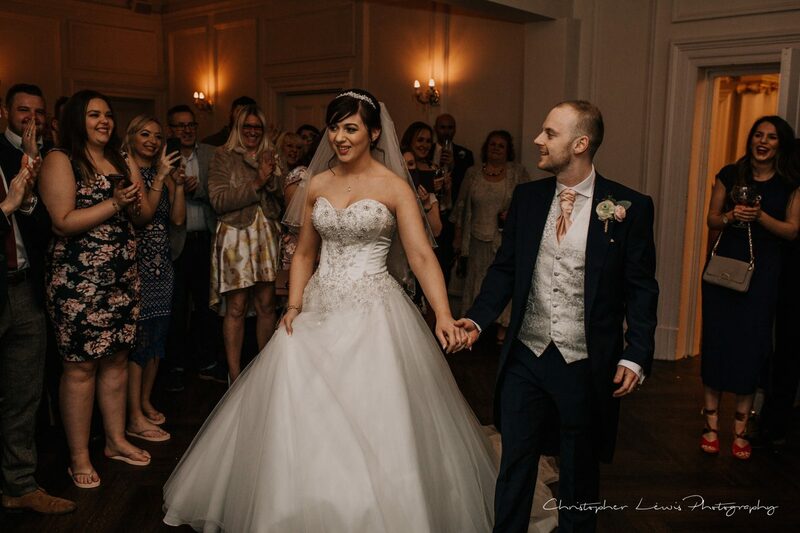 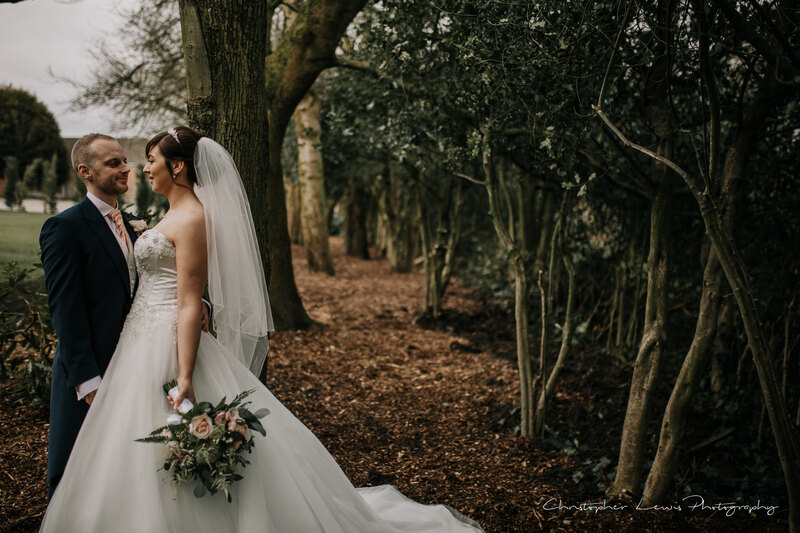 The walk down those gorgeous stairs at Ashfield House always gets me – its filled with so much tension and excitement, yet my brides still manage the walk – even in heels! 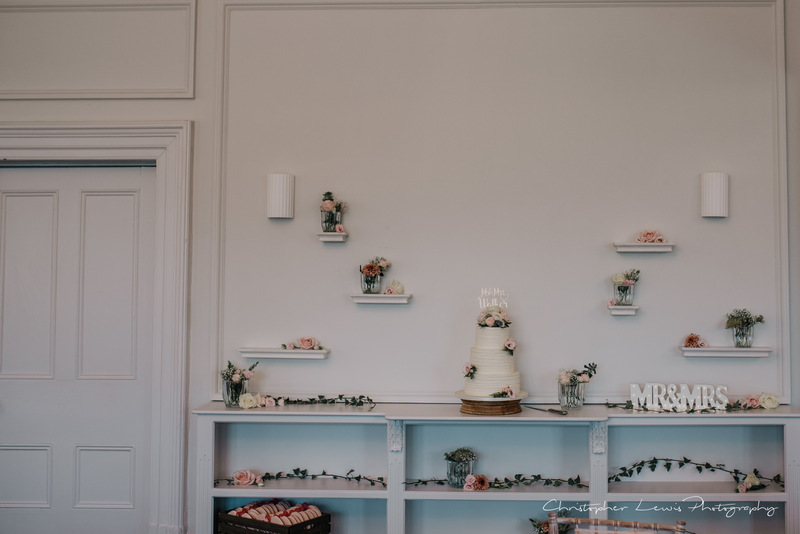 The ceremony room is so light and bright, the perfect room to photograph, and with it being such a gorgeous day the sun beamed in through the many windows. 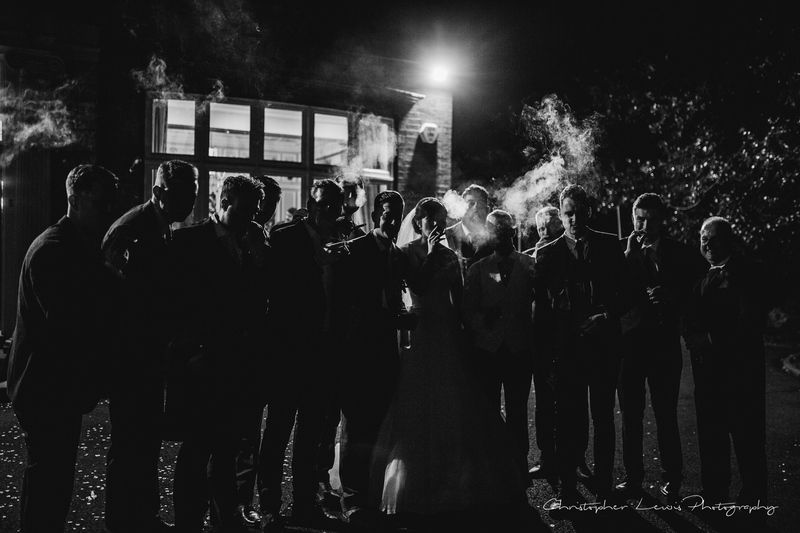 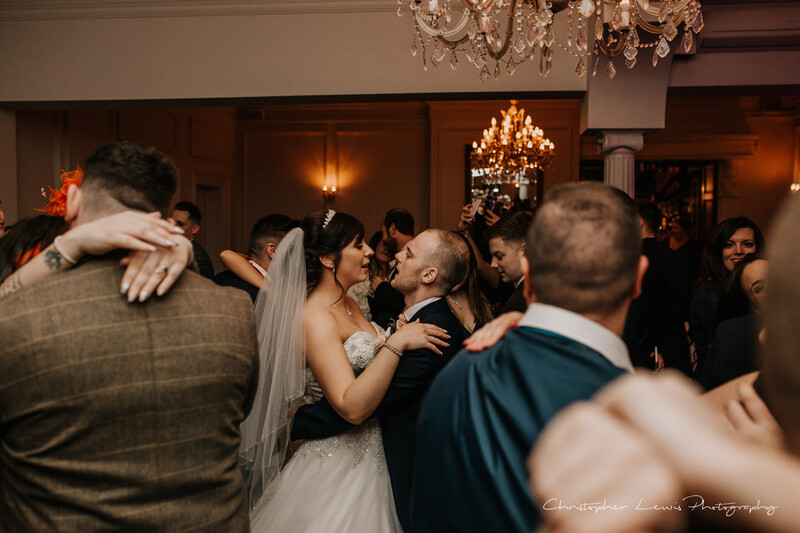 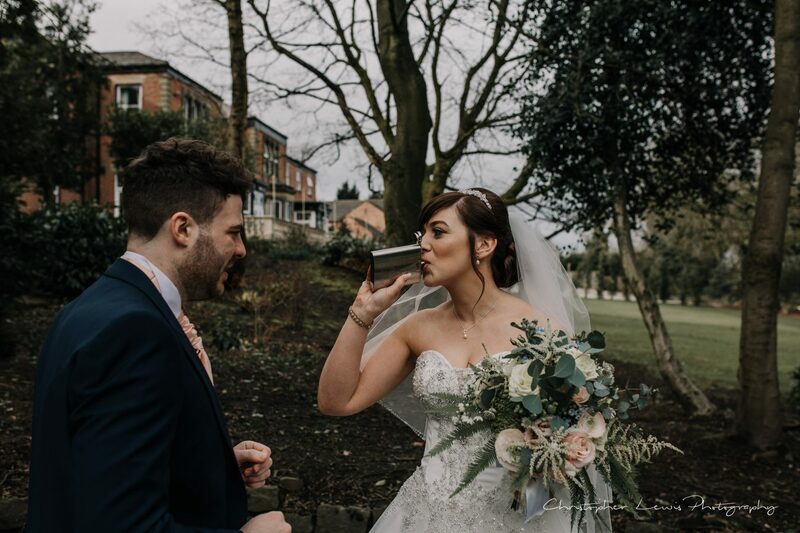 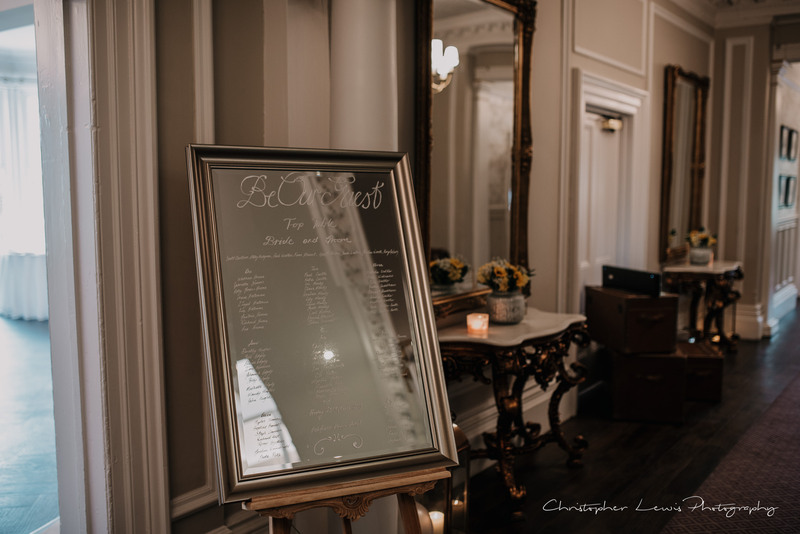 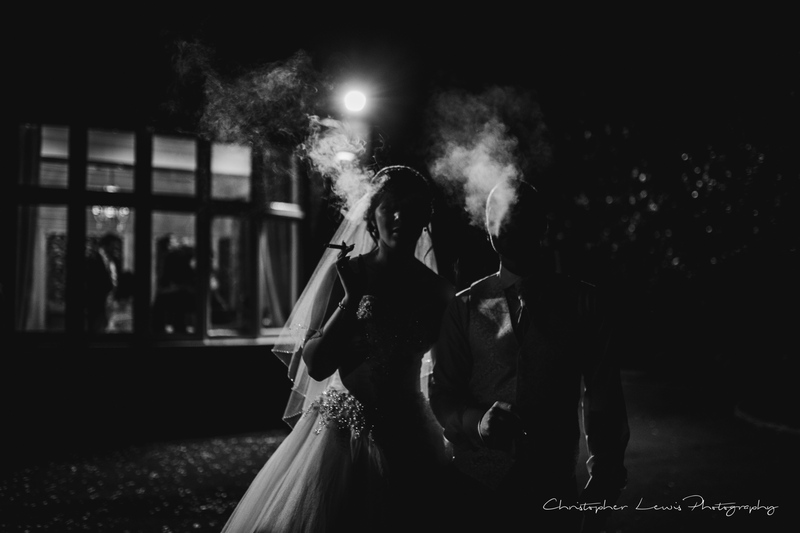 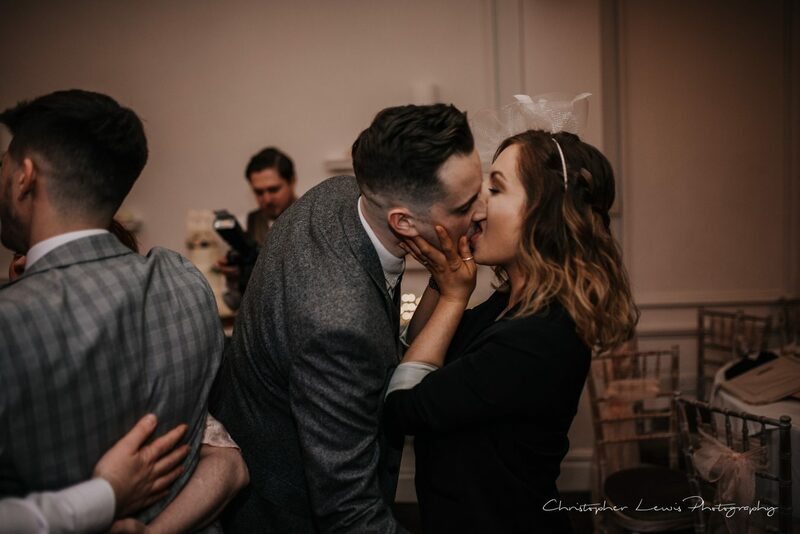 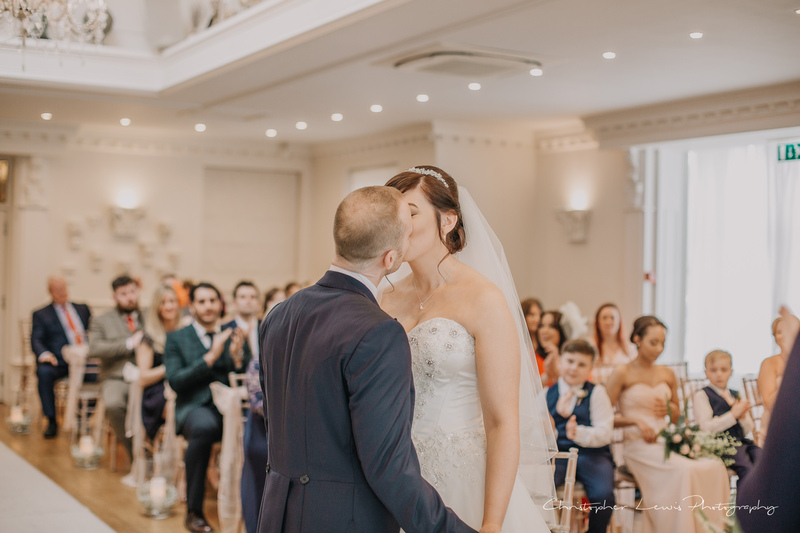 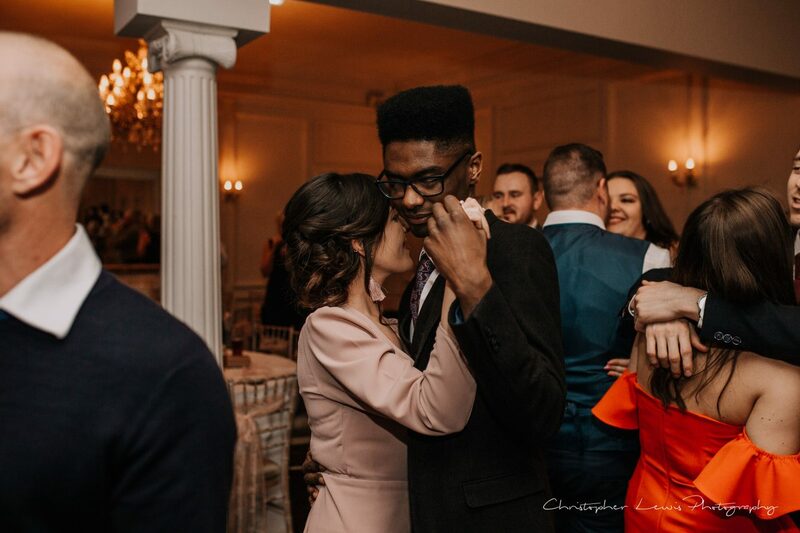 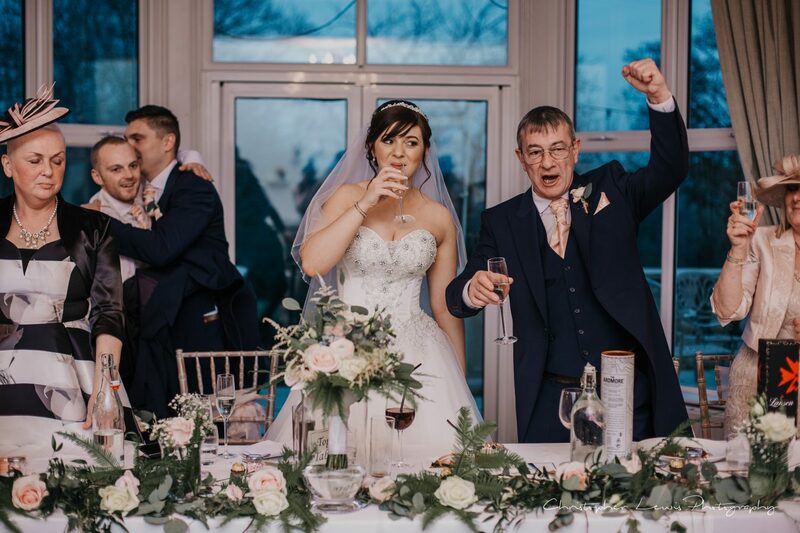 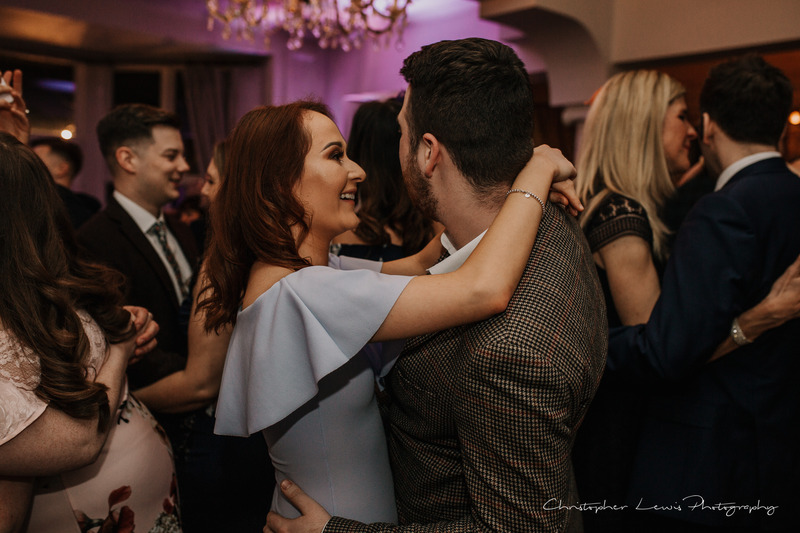 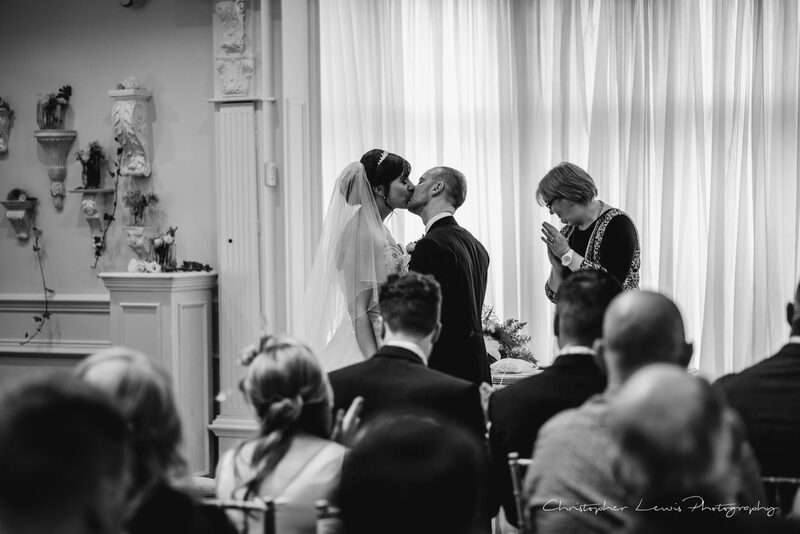 The couple exchanged their vows and a first kiss before heading to the adjoining sitting area for the guests to give the couple their best wishes- and for celebratory drinks and delicious canapés! 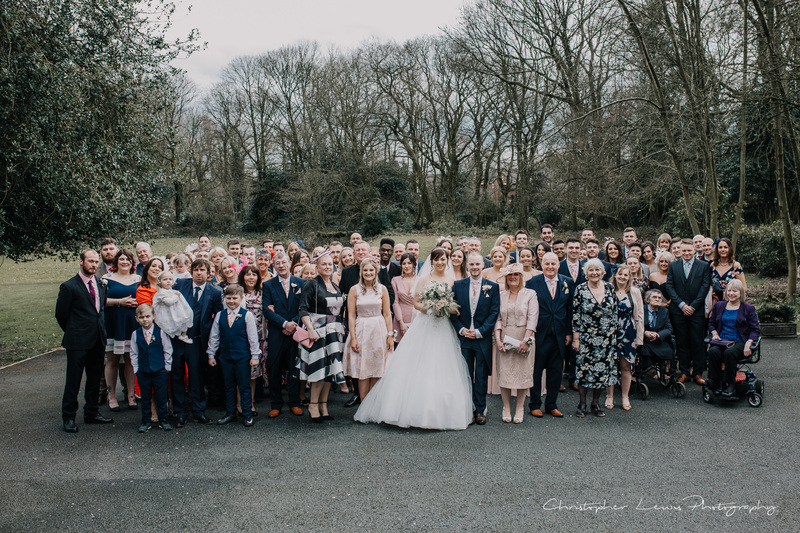 The weather was on our side for the day and we managed to get outside for the big group shot, and smaller family pictures before exploring the grounds with the couple to give them a chance to soak in that “just married” feeling. 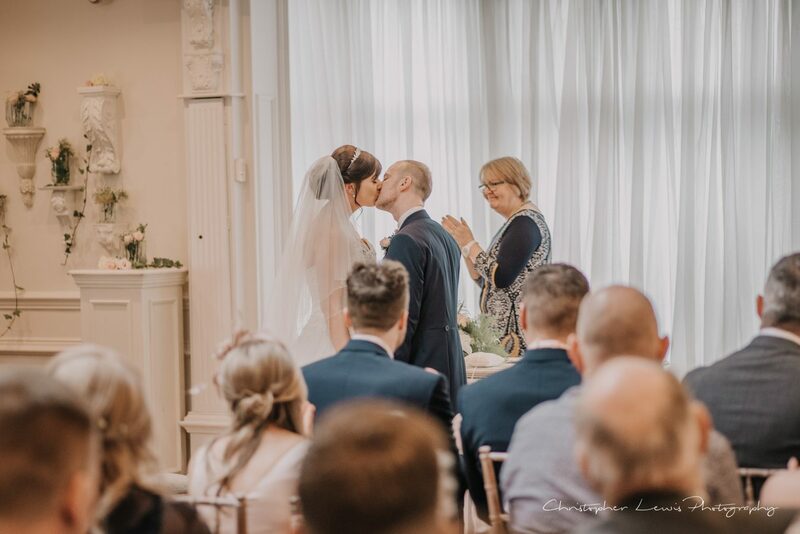 One of my favourite parts of a wedding day is capturing the couple in these moments, to help them remember for years to come! 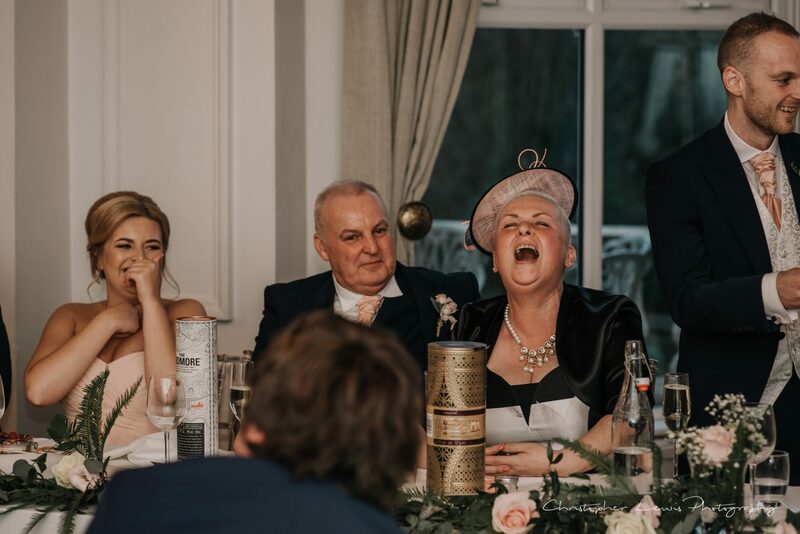 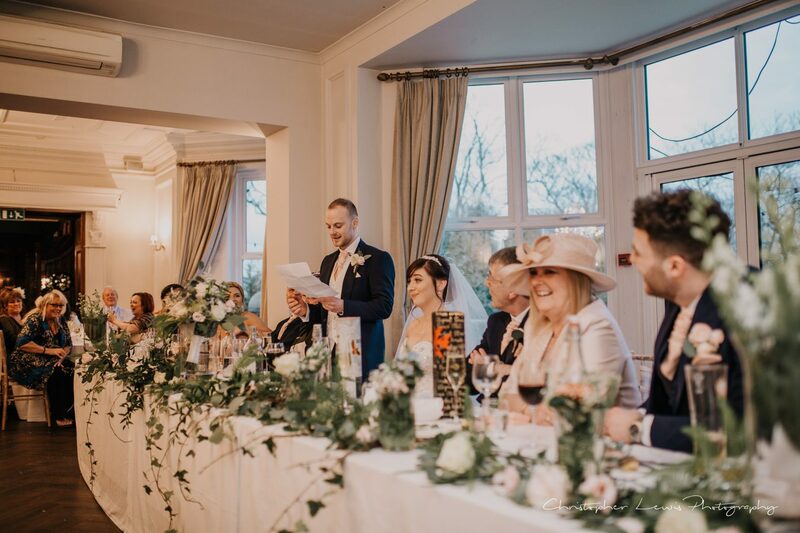 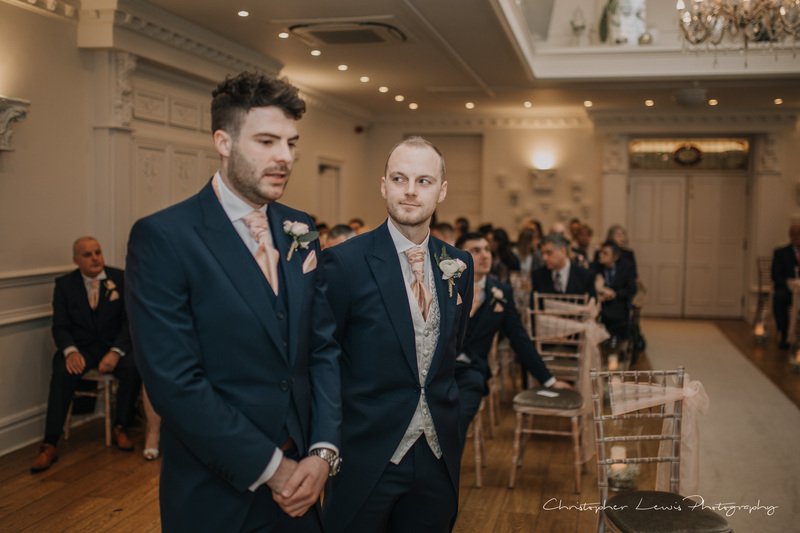 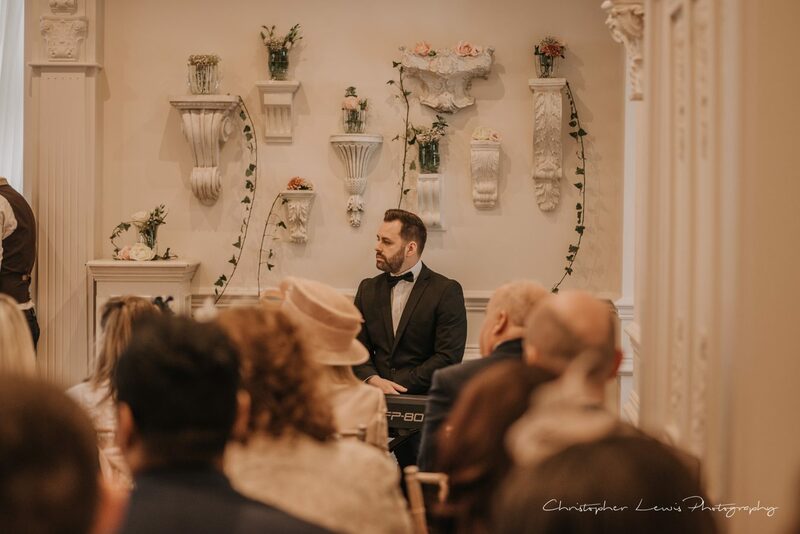 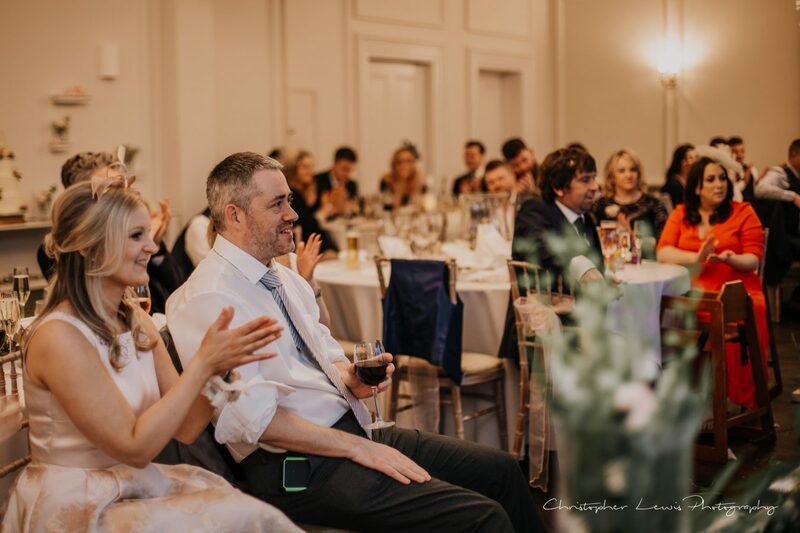 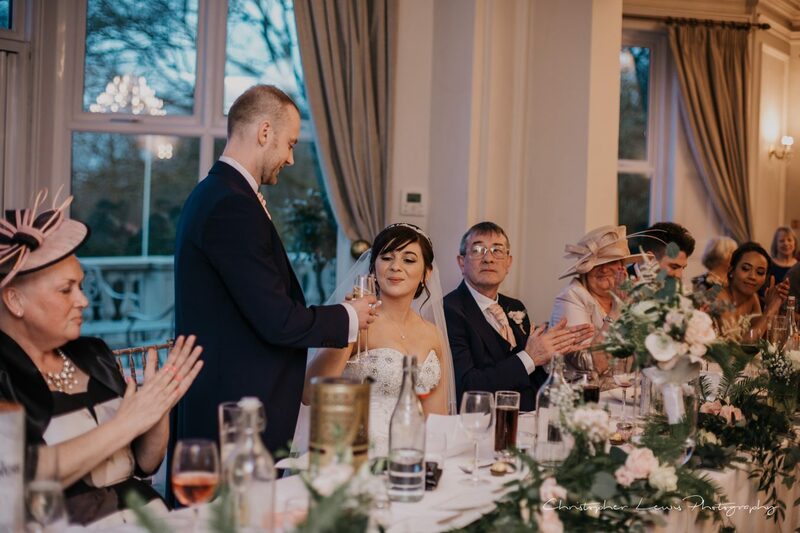 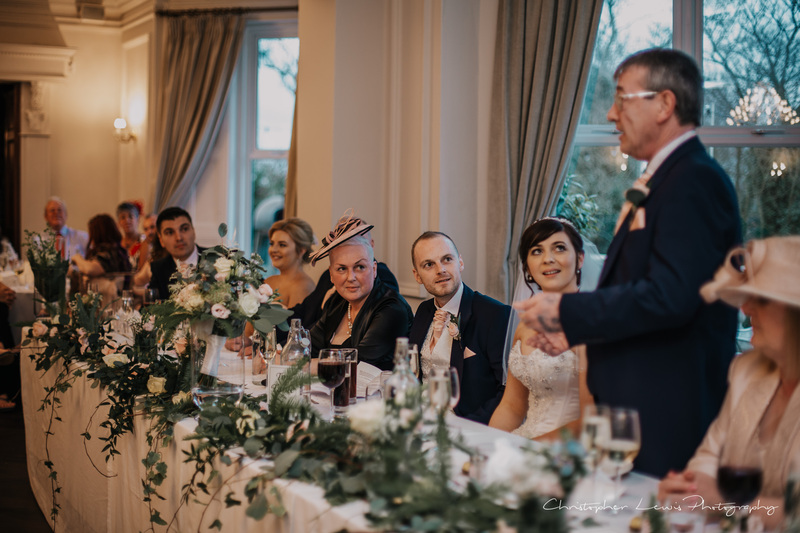 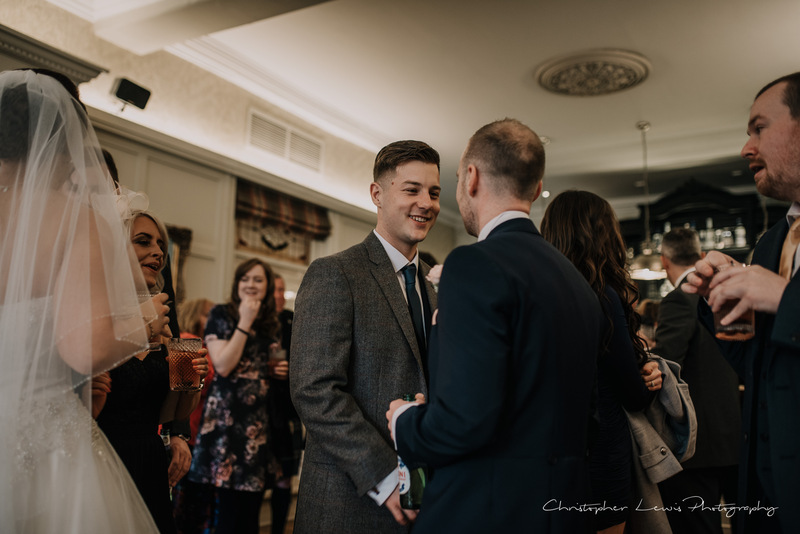 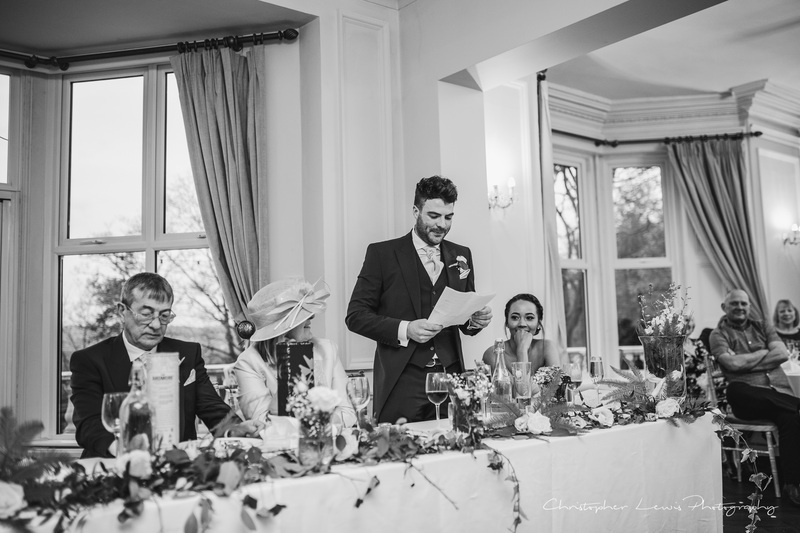 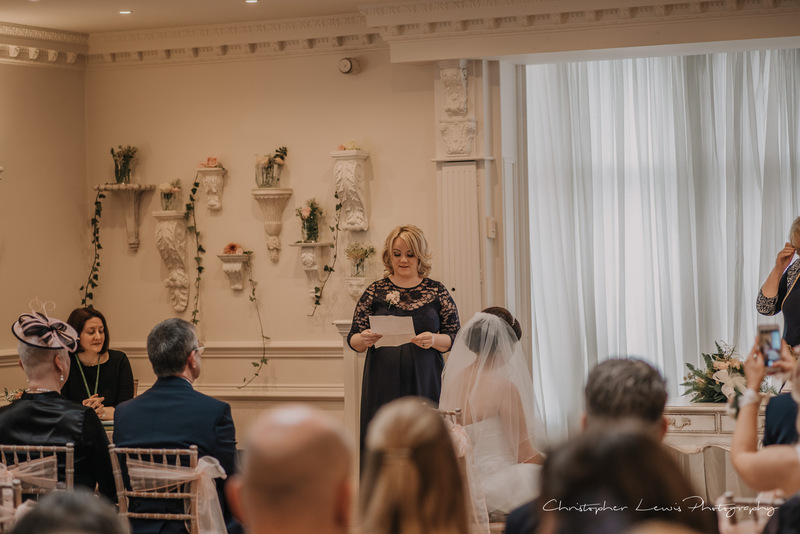 Through some excellent speeches, including the groom’s breakdown of their first messages via internet dating – the expressions from the guests and family upon hearing the groom’s cringeworthy chat-up lines – it was awesome to catch on camera! 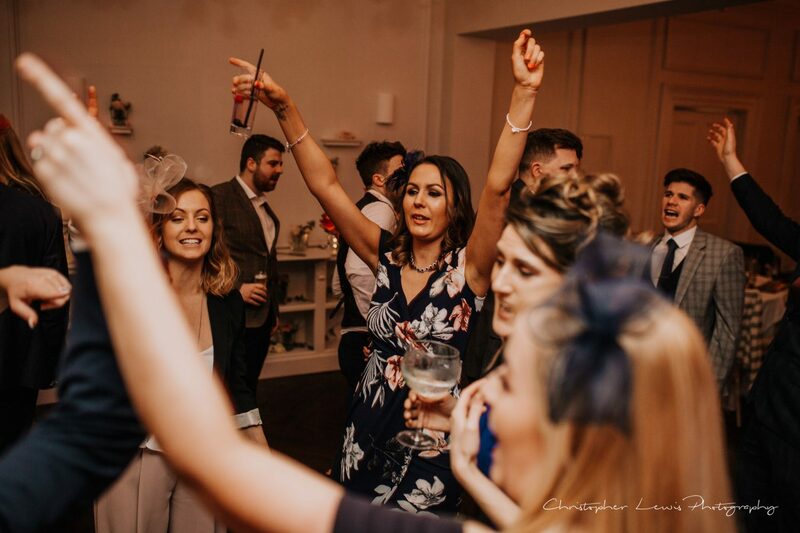 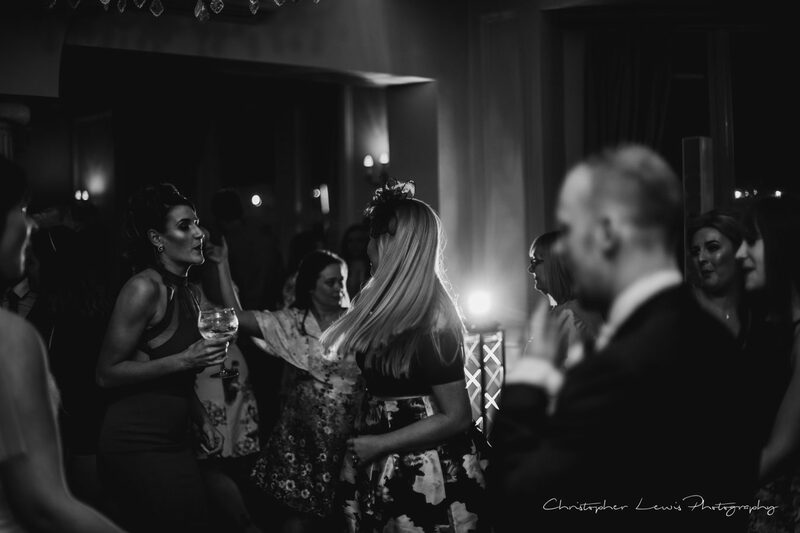 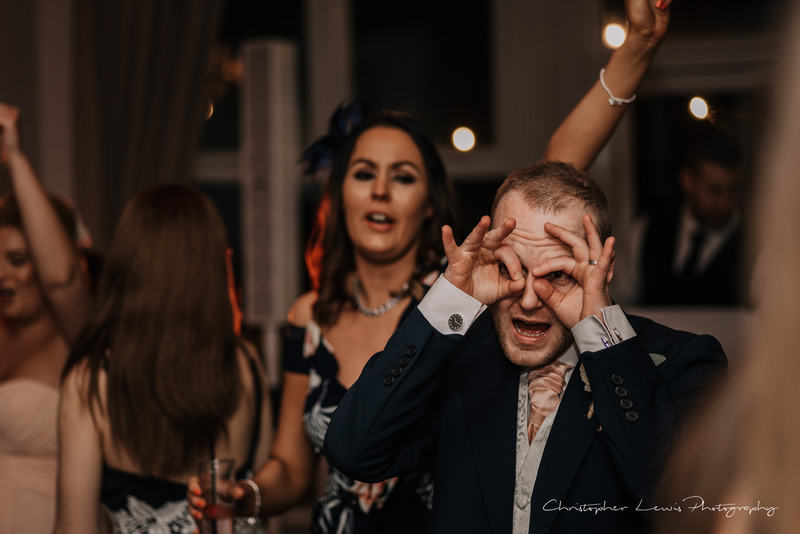 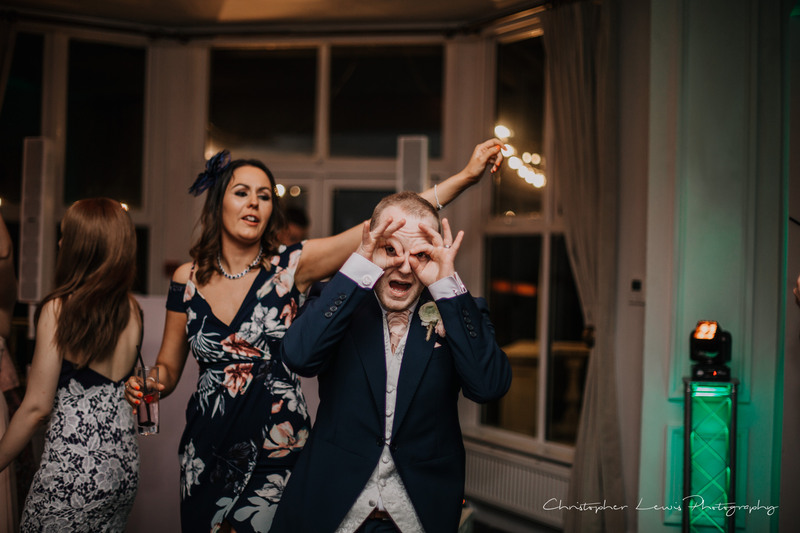 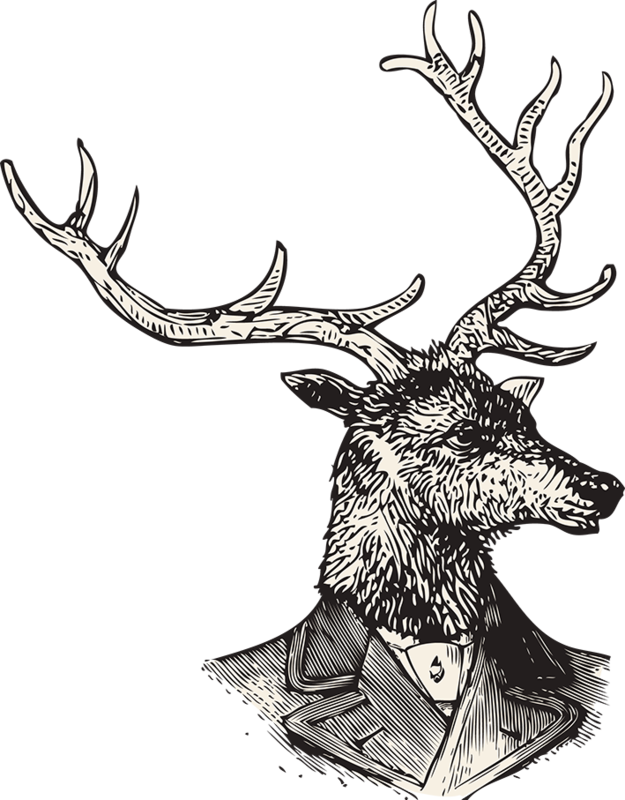 DFC took us into the night with the best songs getting the guests on the dance floor, with the groom rocking it out with the actions to “Mr Brightside”! 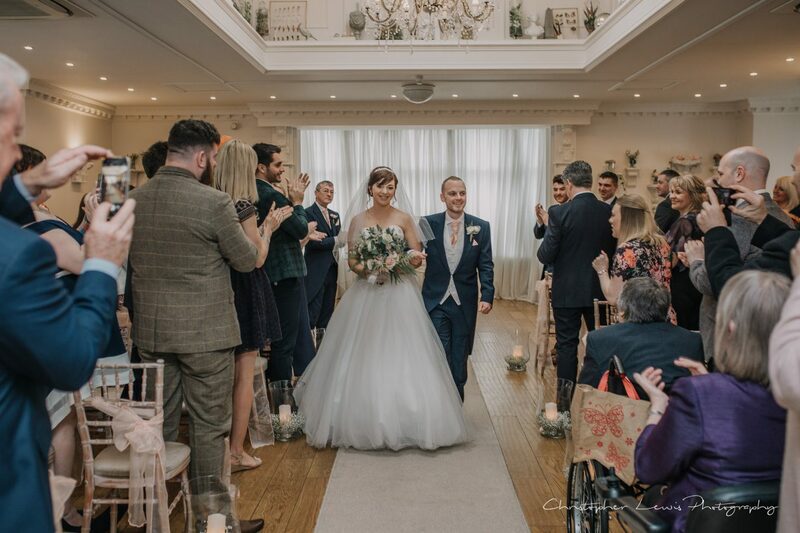 Mr & Mrs Walker – Thank you for having us on what was such a beautiful day. 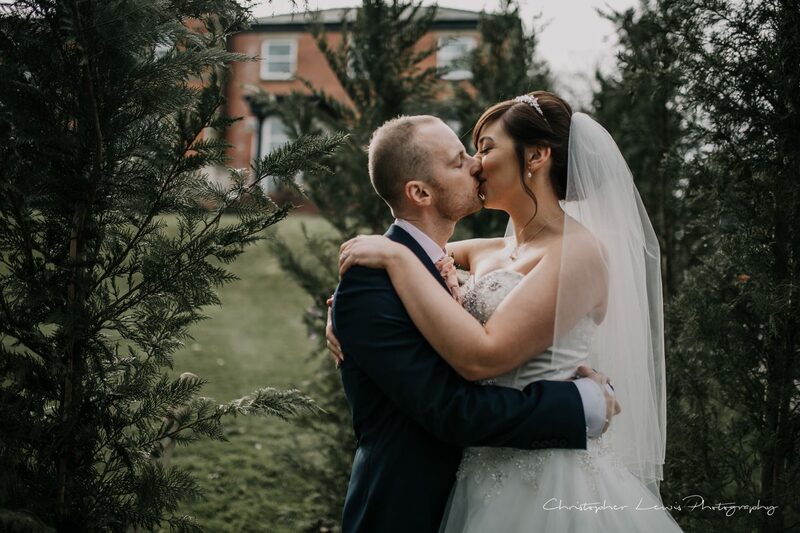 We loved sharing it with you!